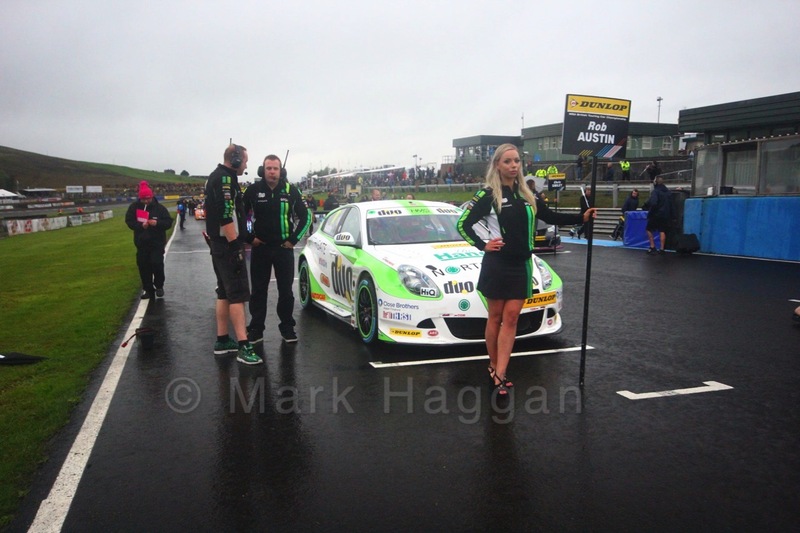 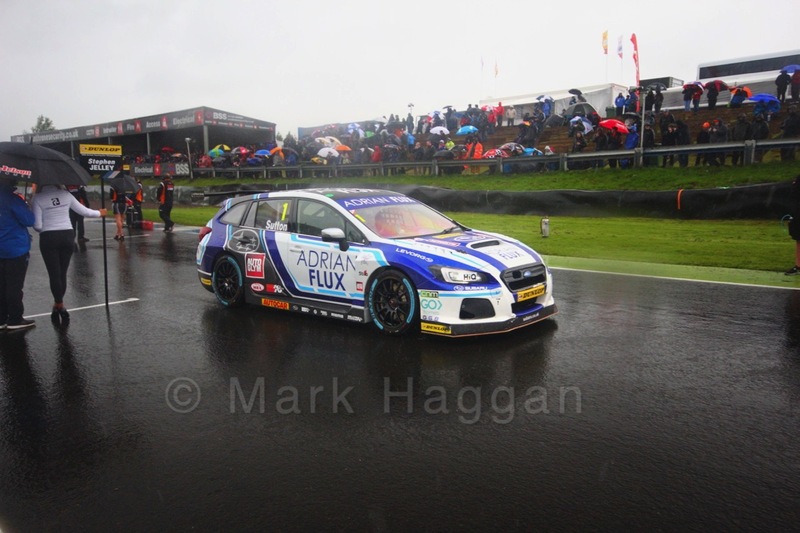 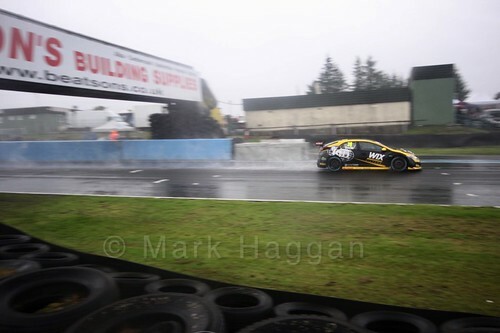 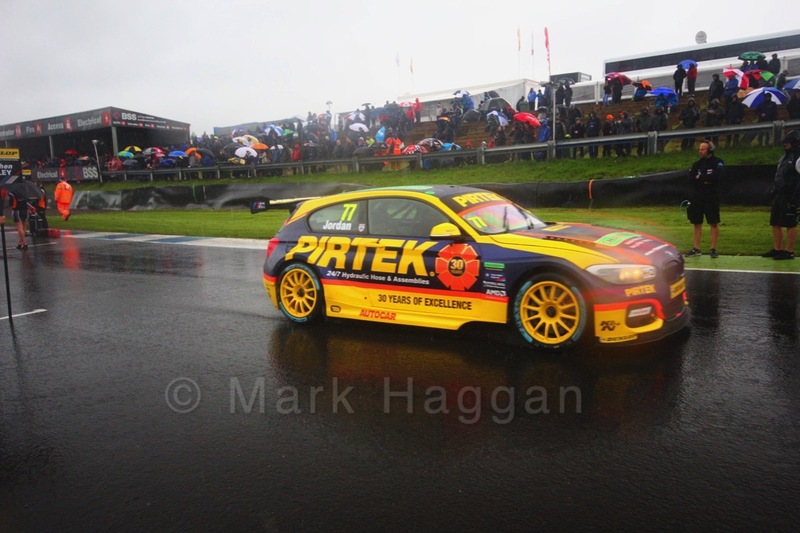 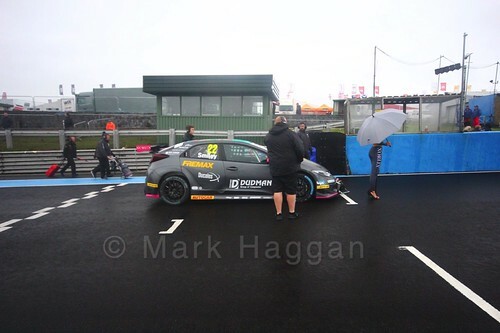 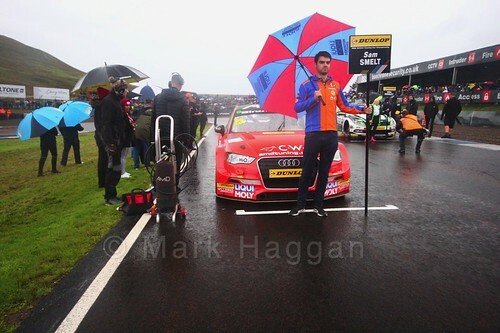 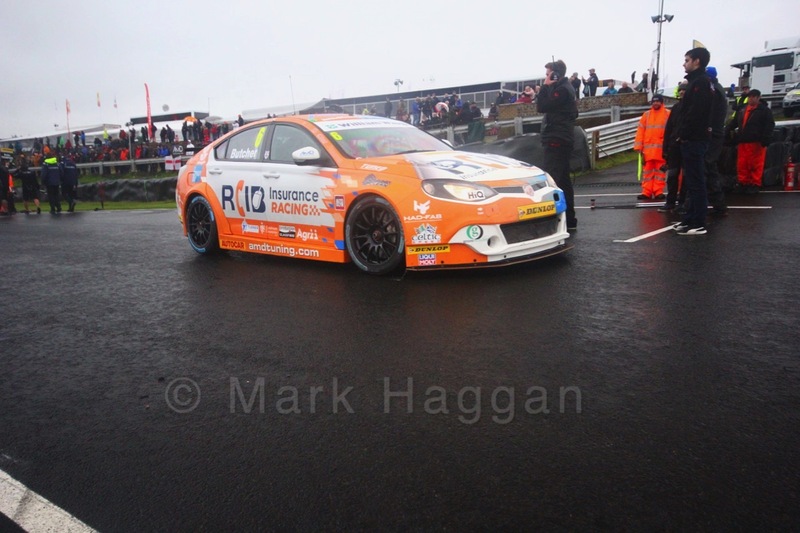 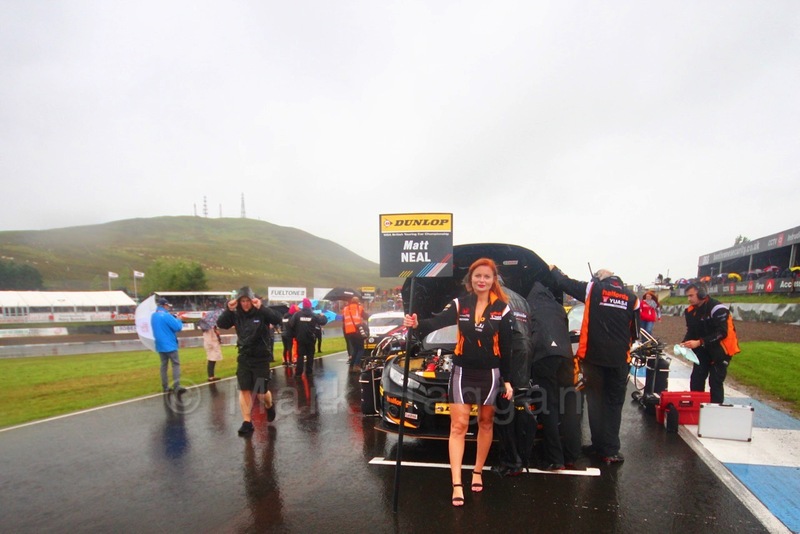 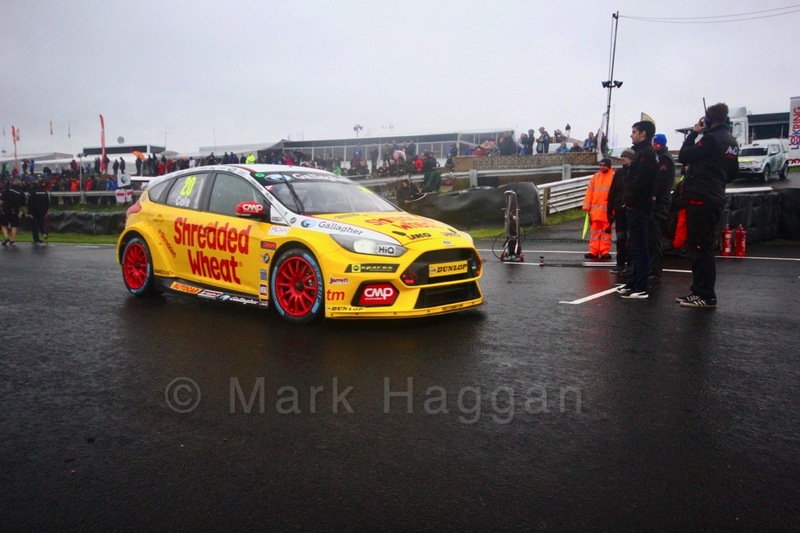 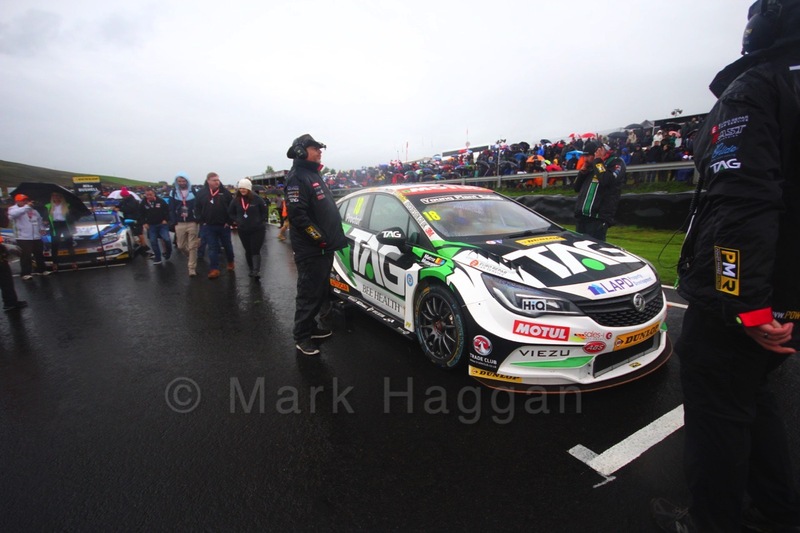 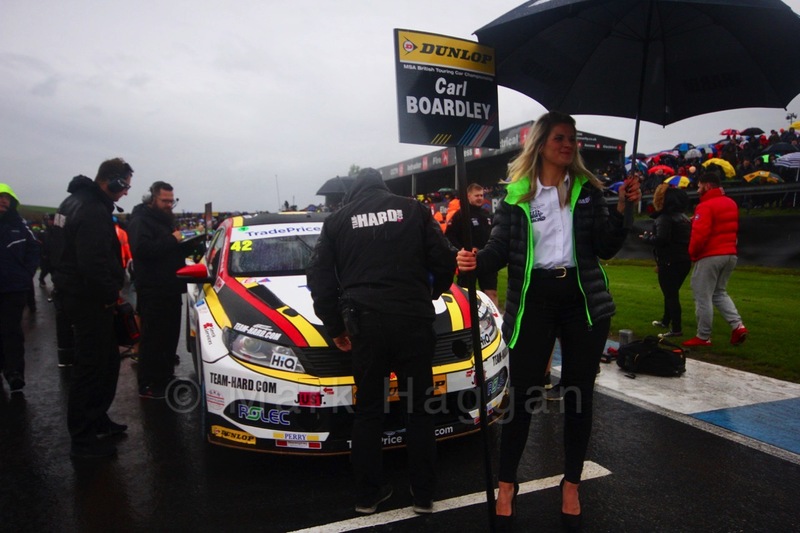 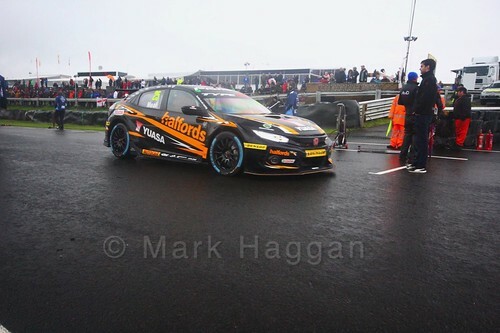 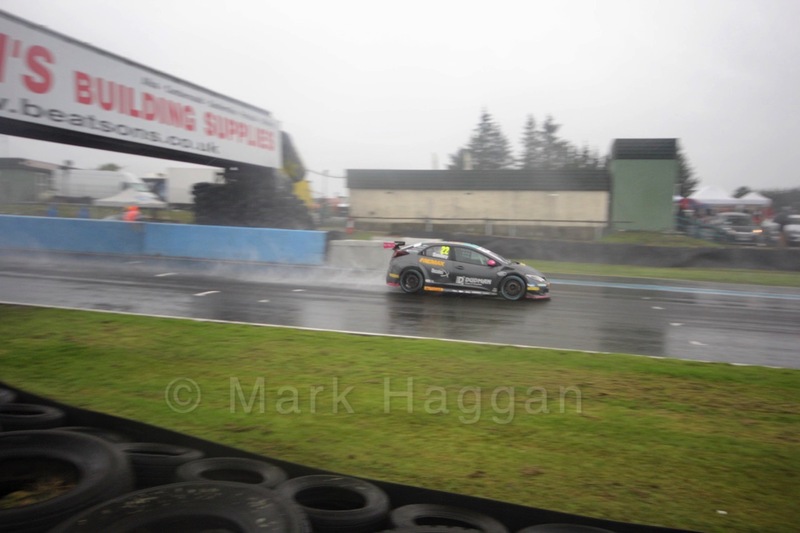 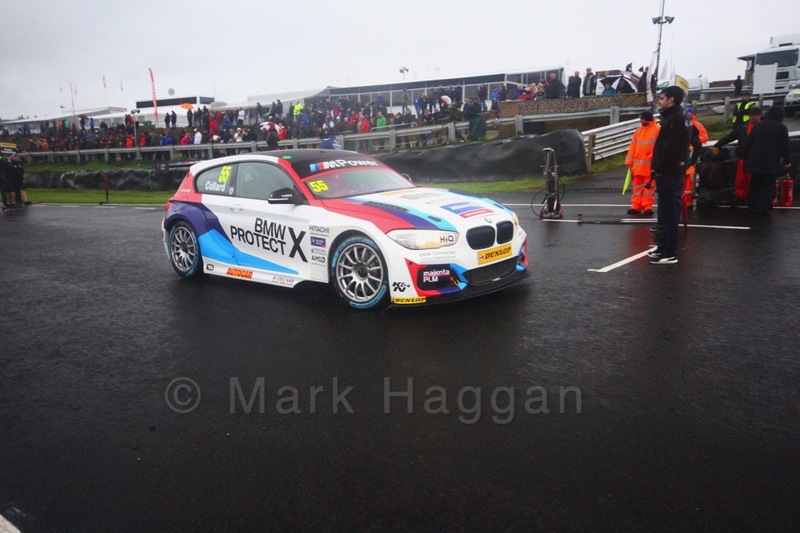 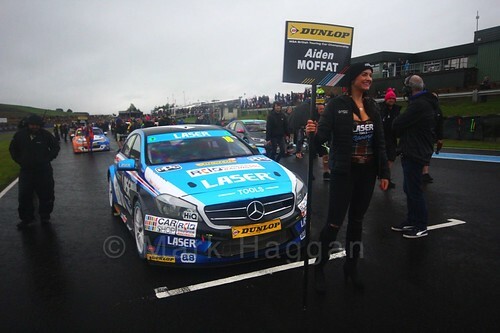 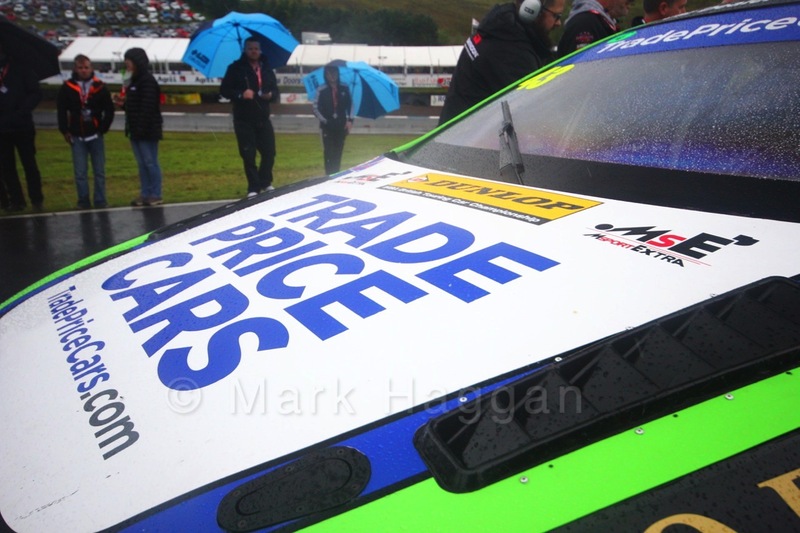 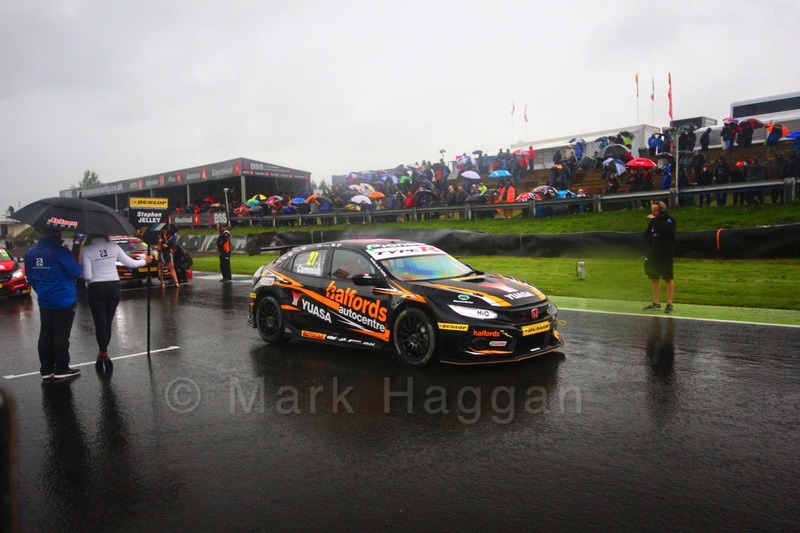 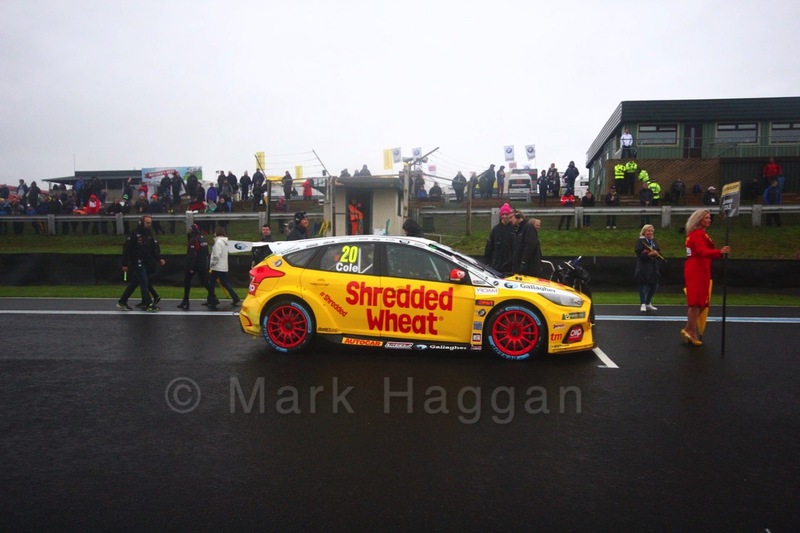 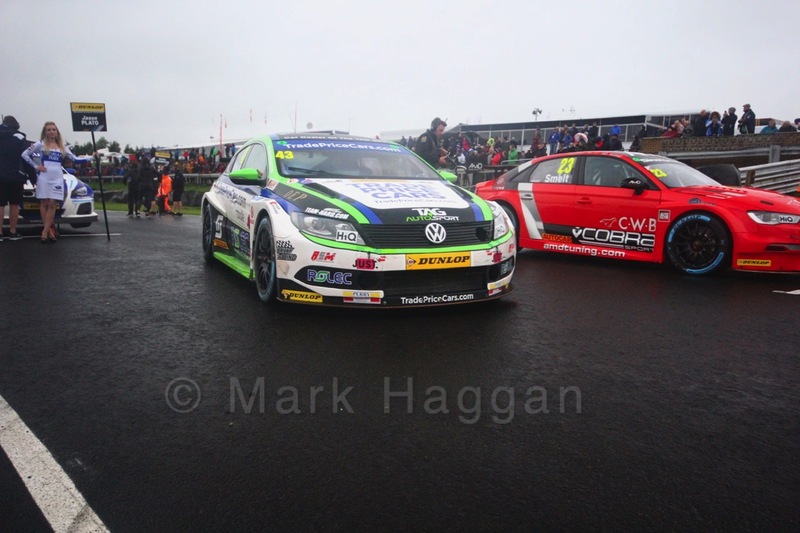 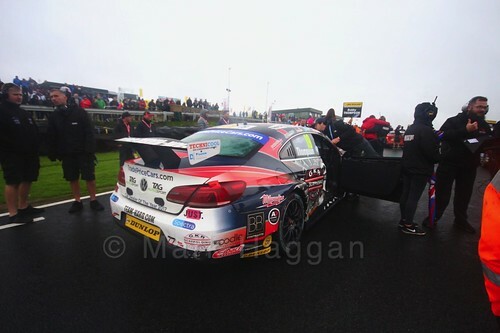 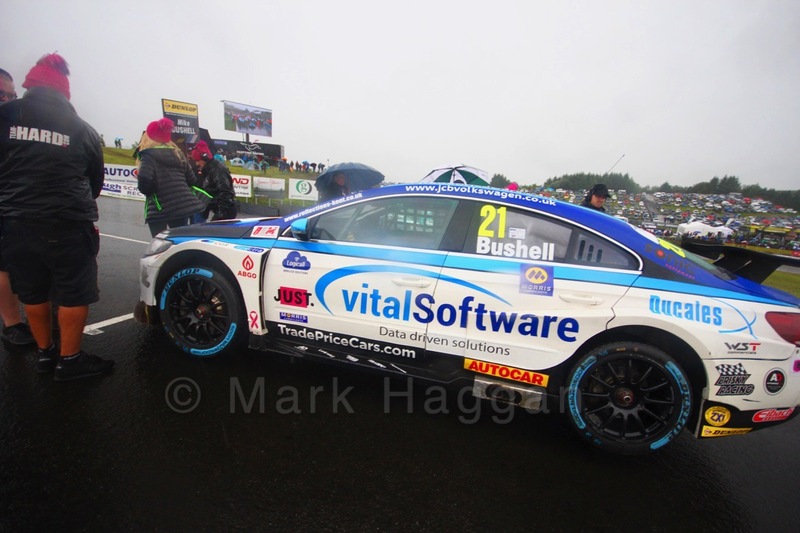 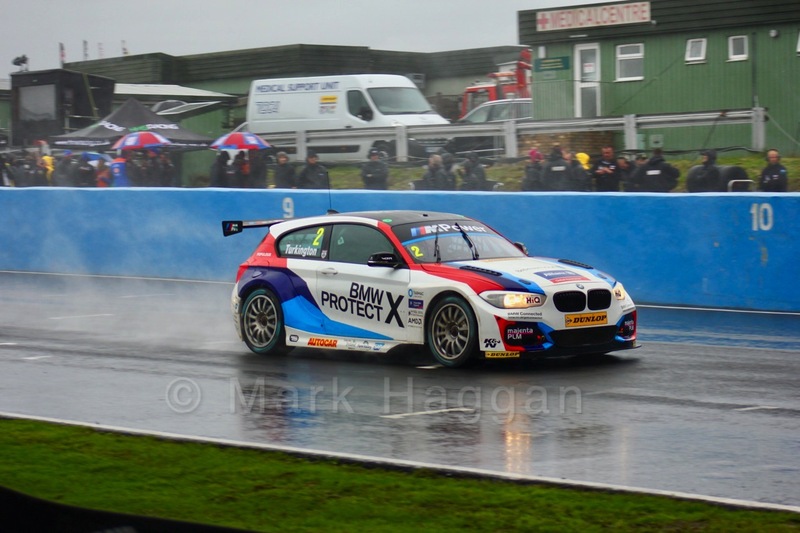 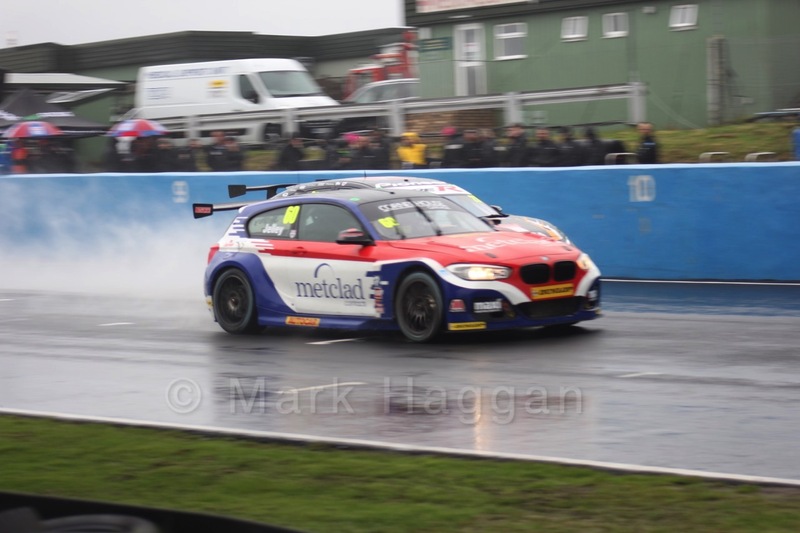 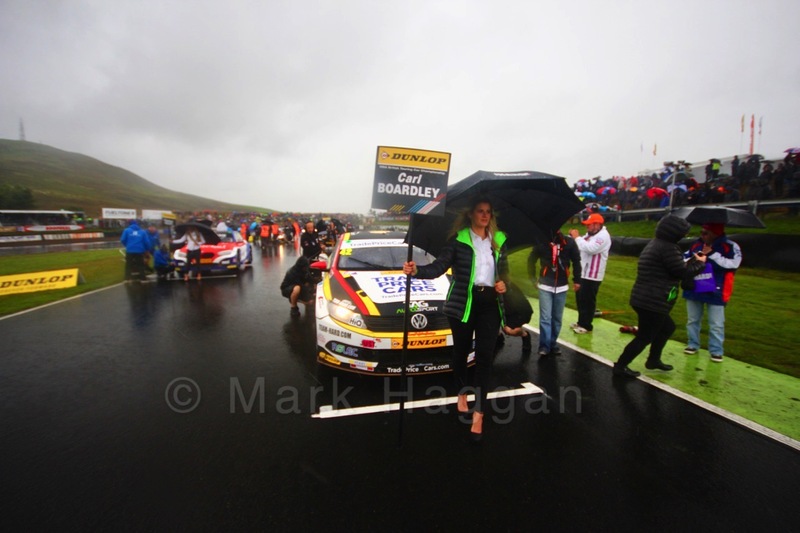 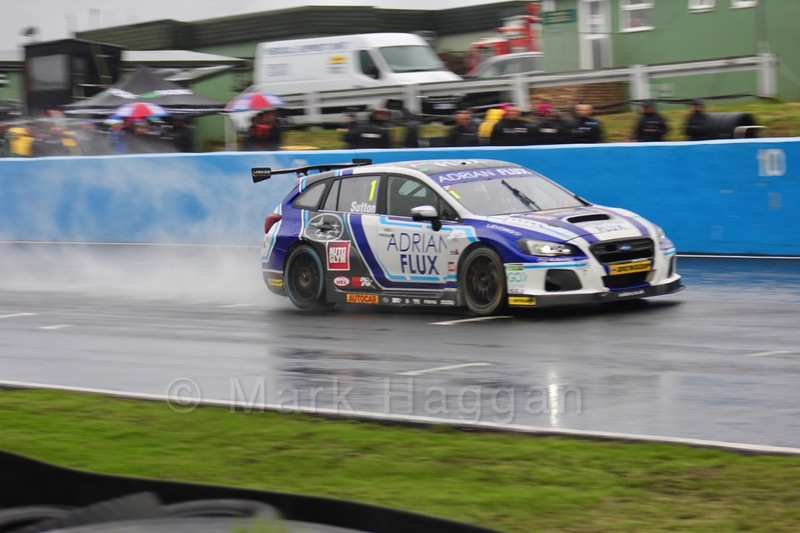 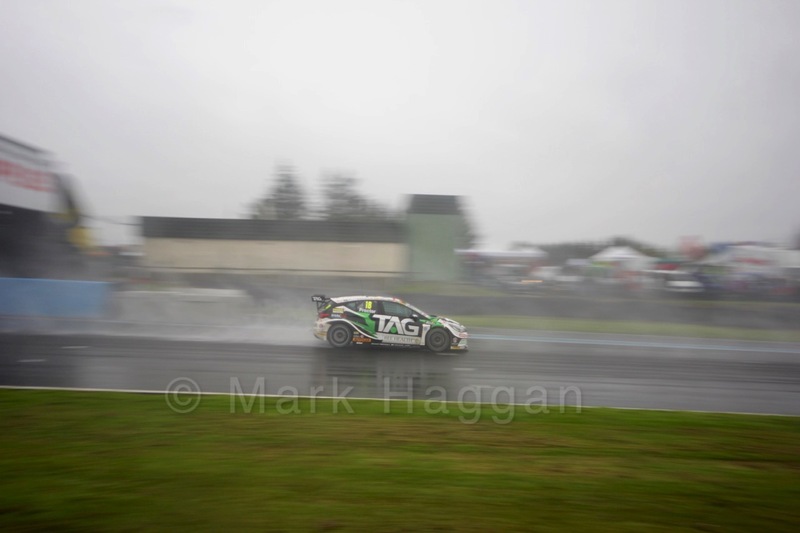 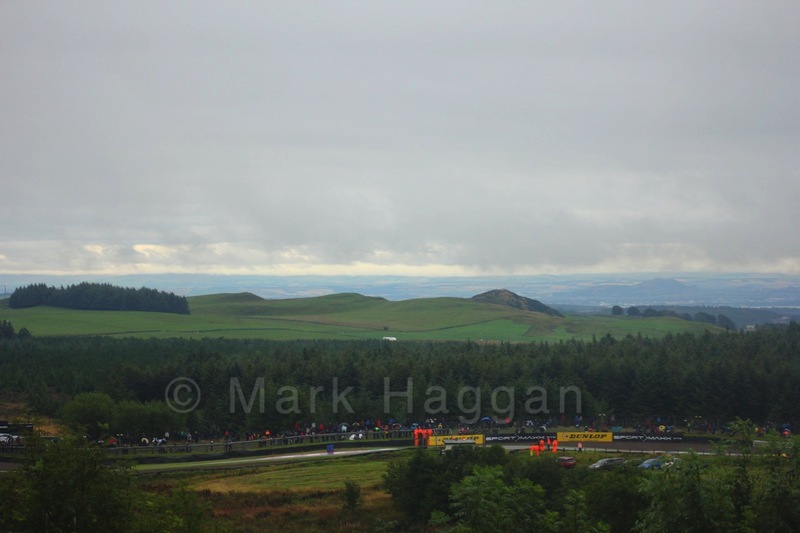 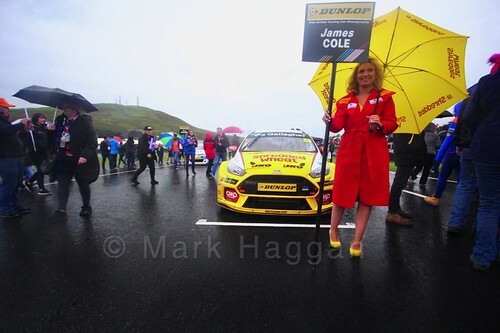 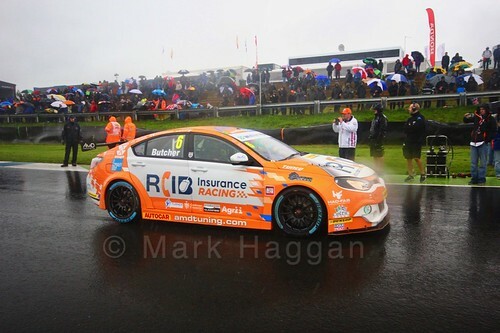 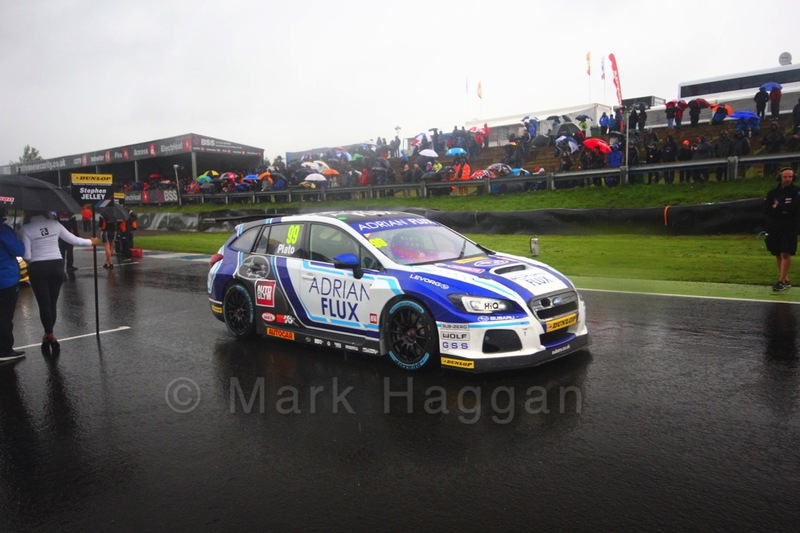 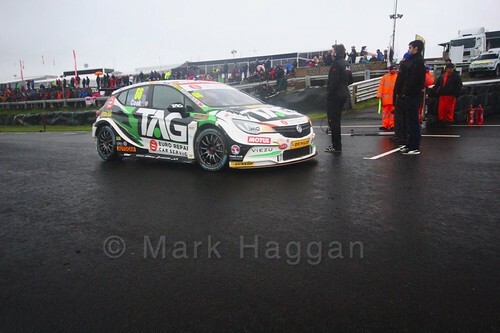 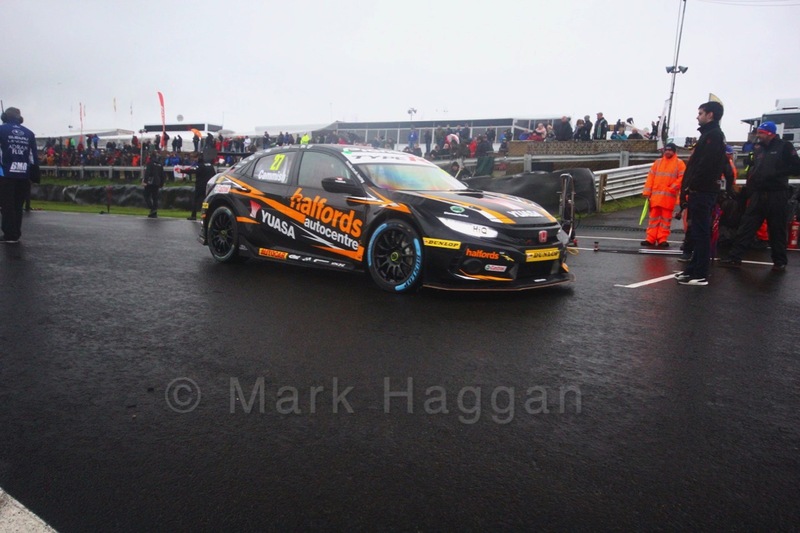 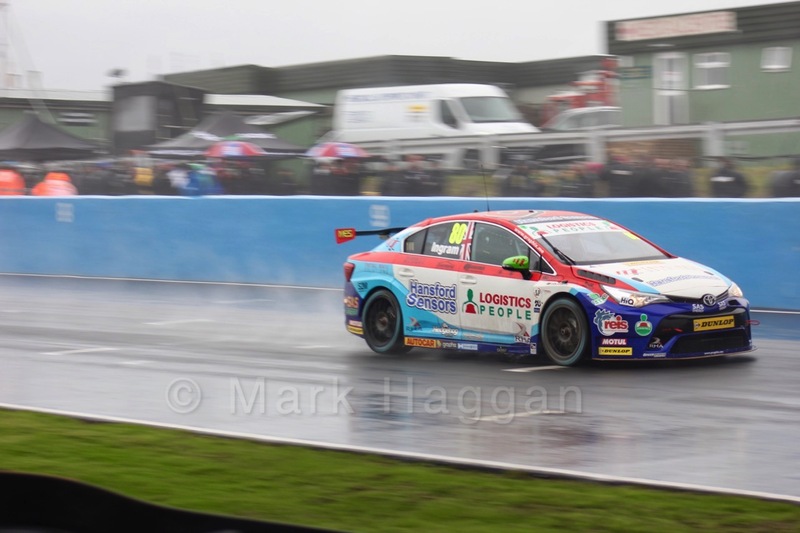 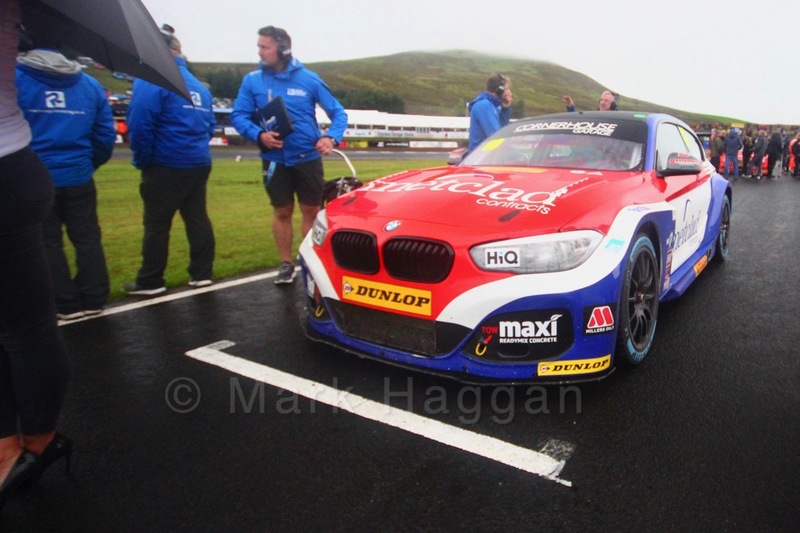 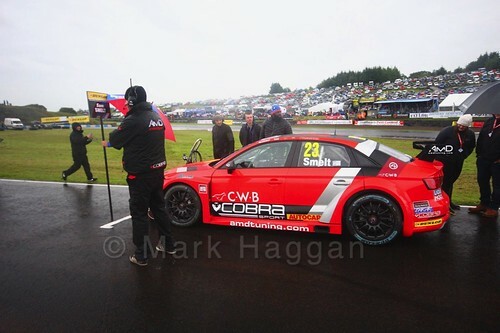 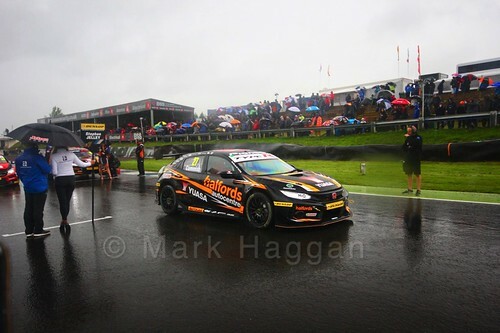 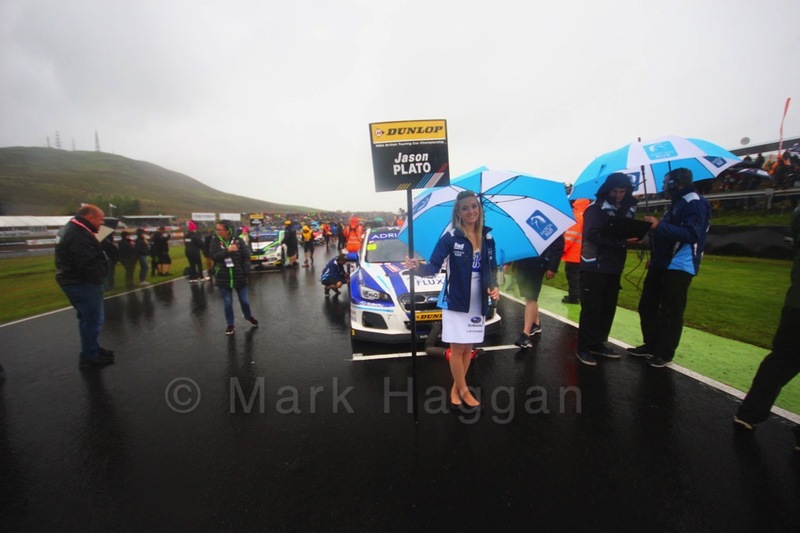 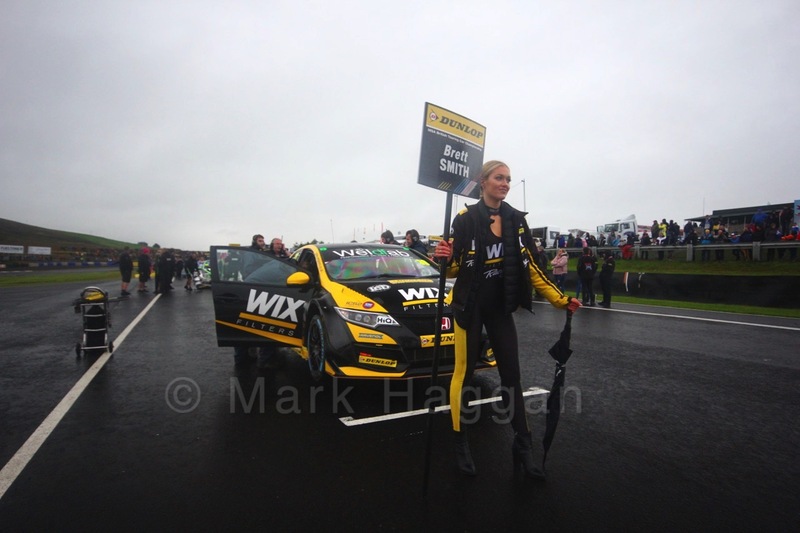 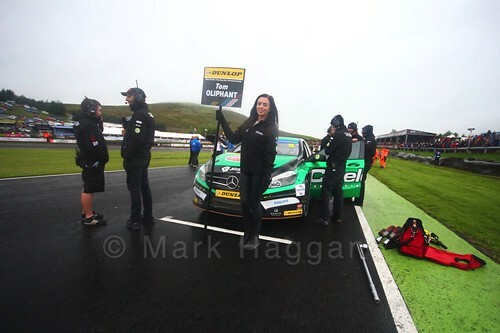 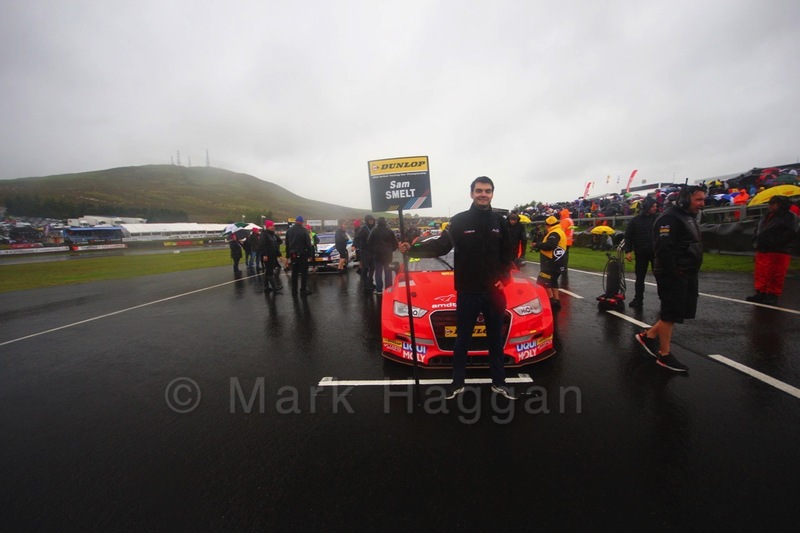 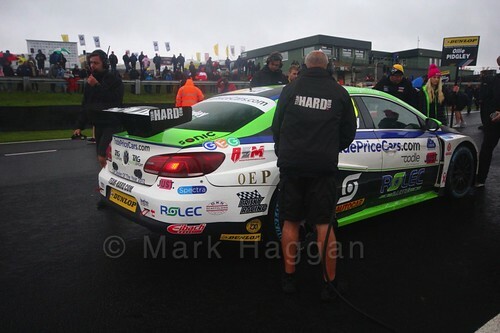 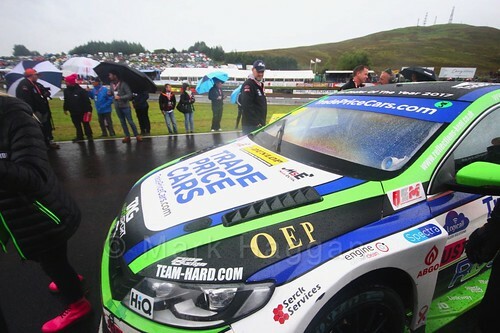 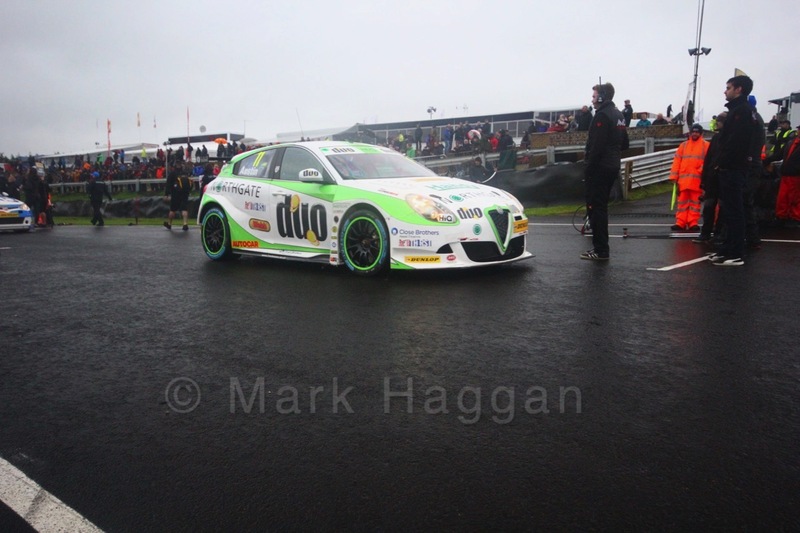 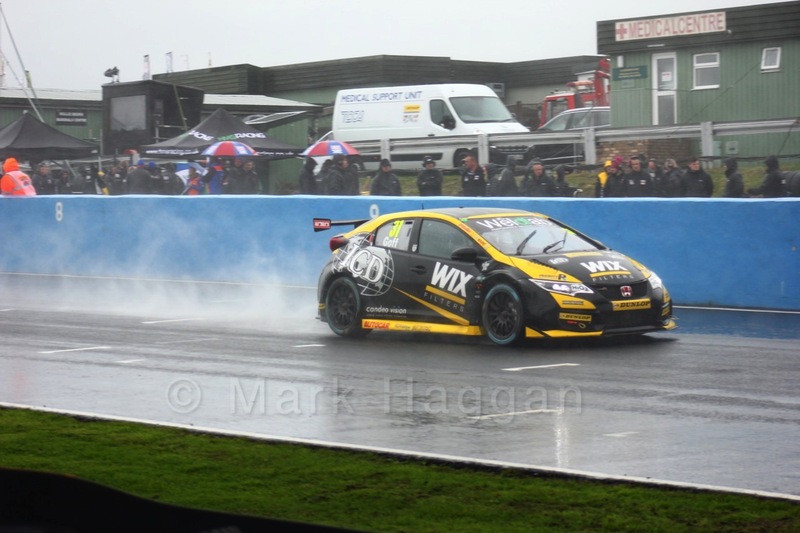 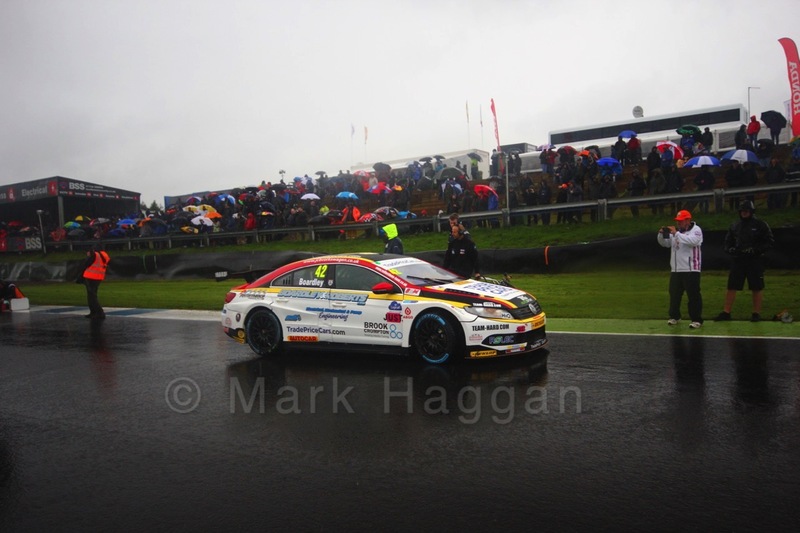 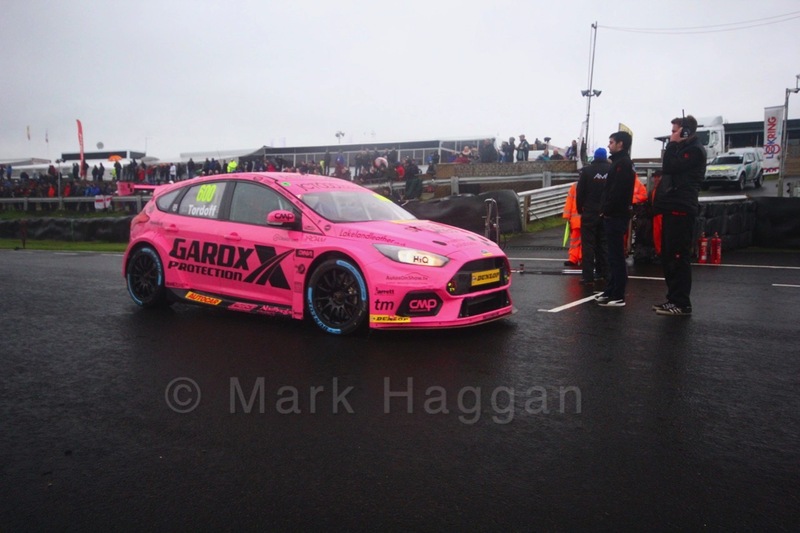 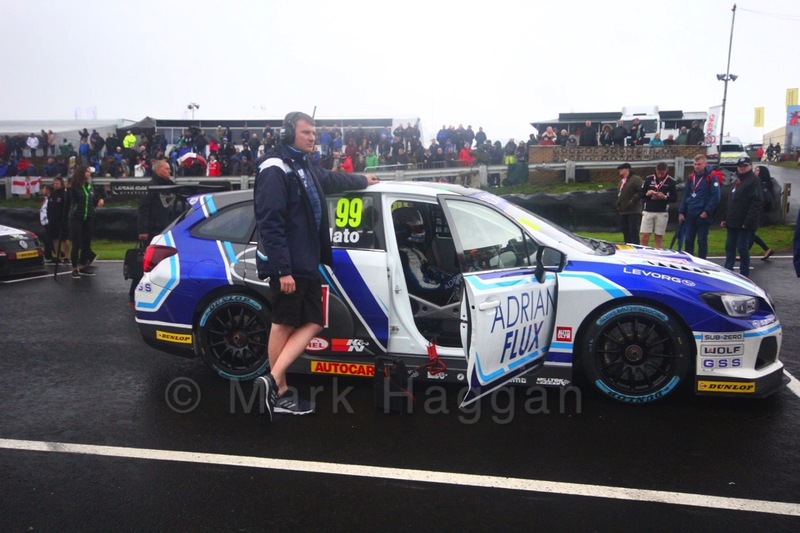 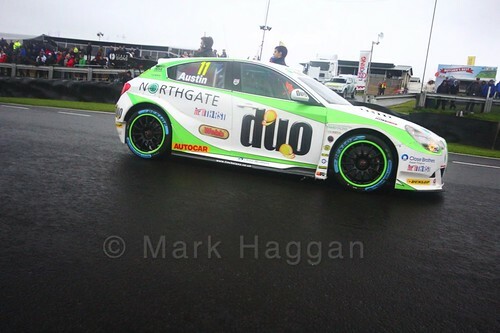 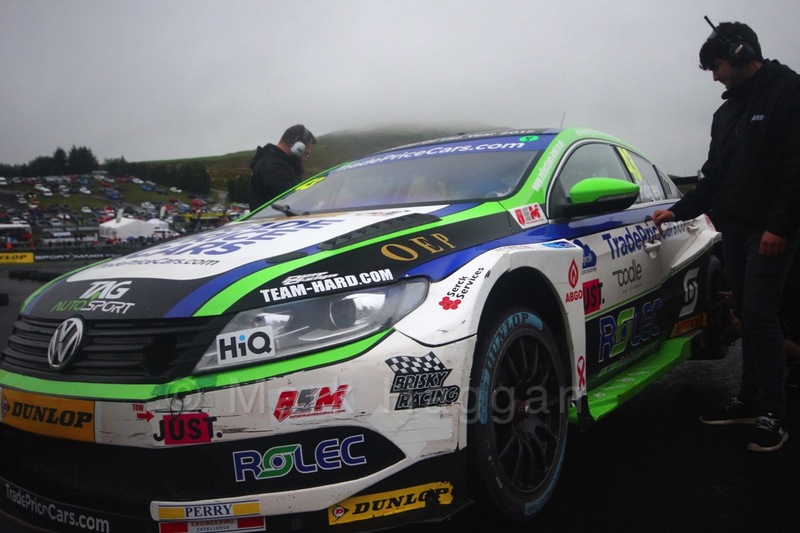 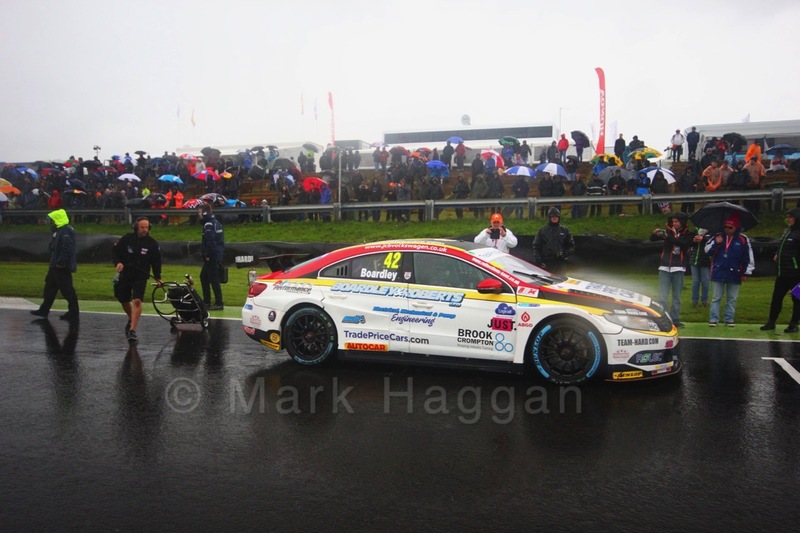 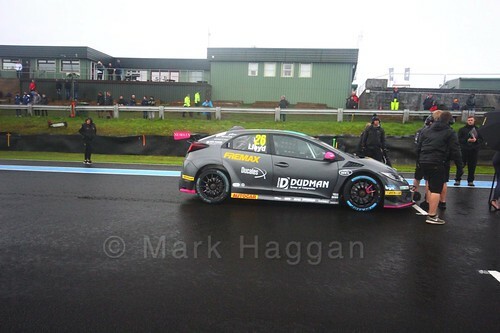 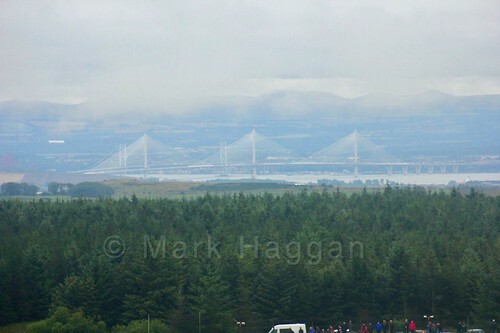 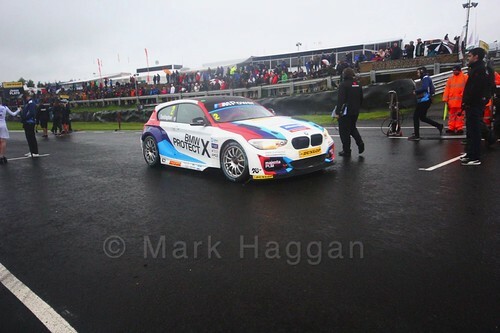 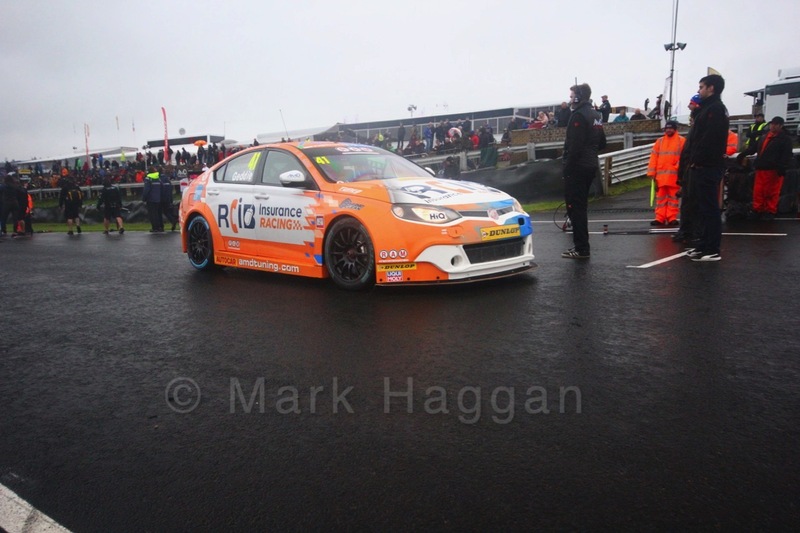 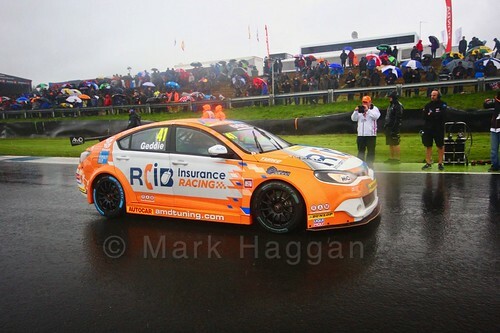 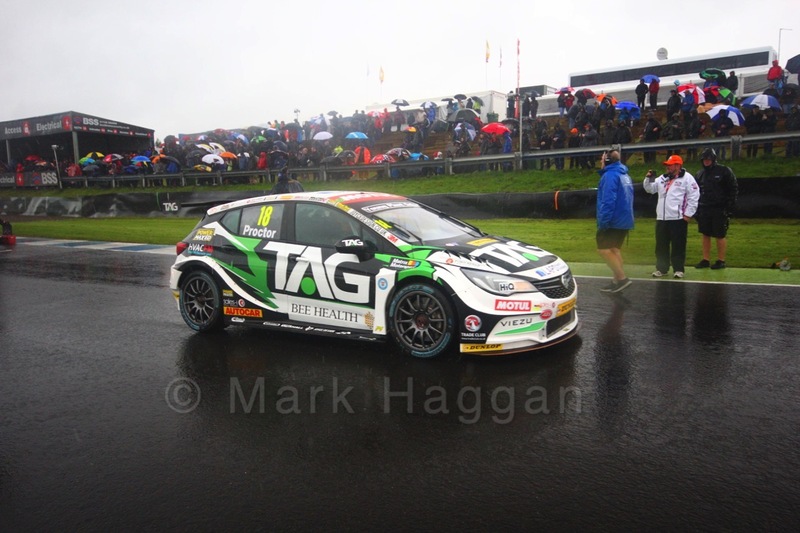 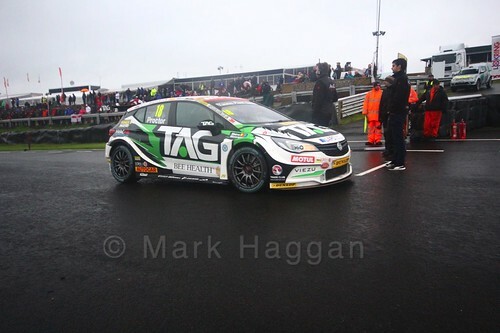 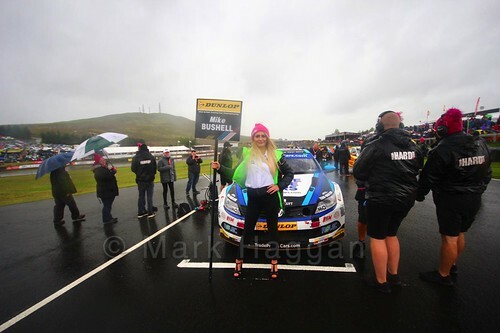 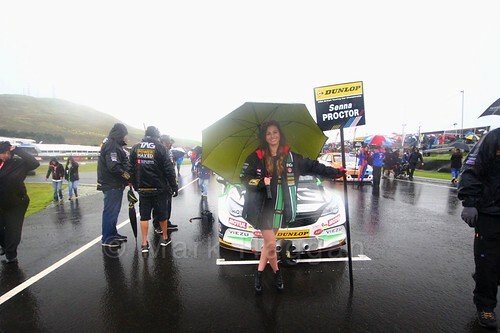 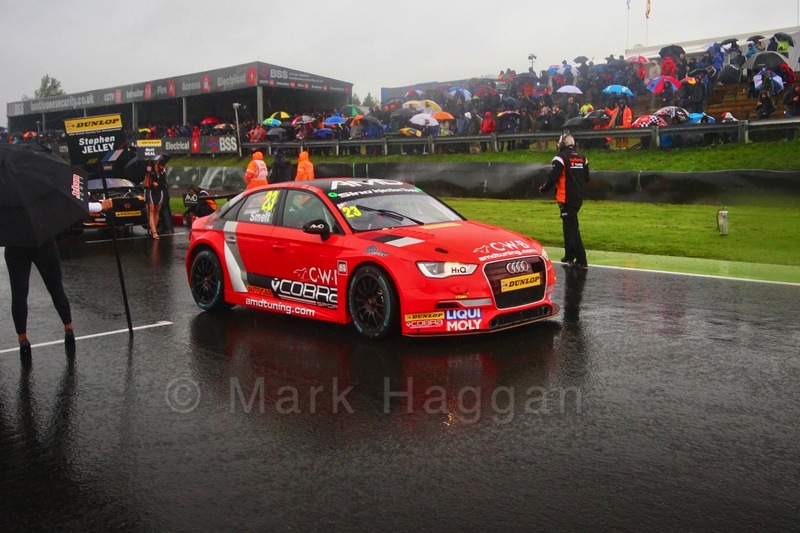 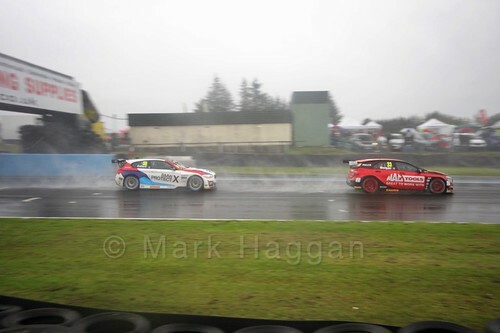 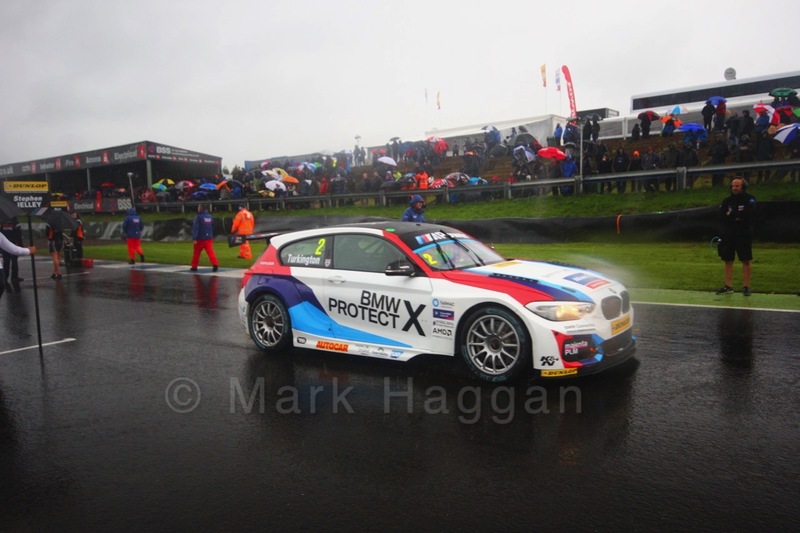 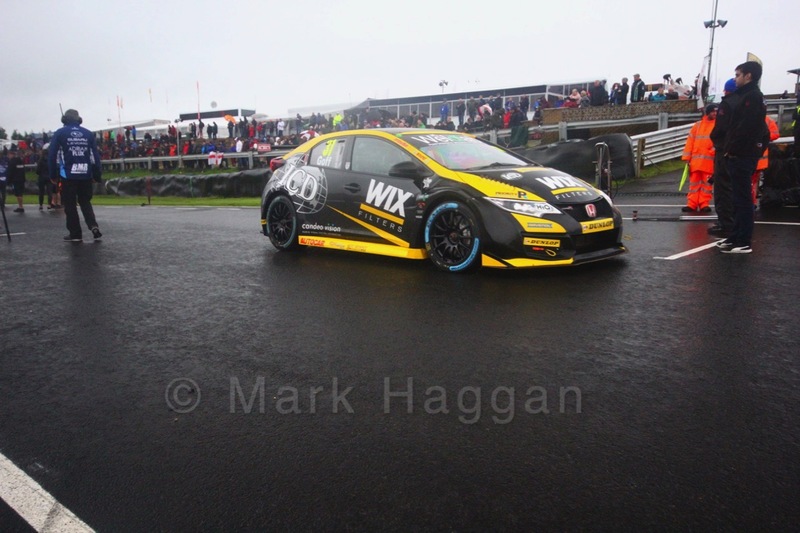 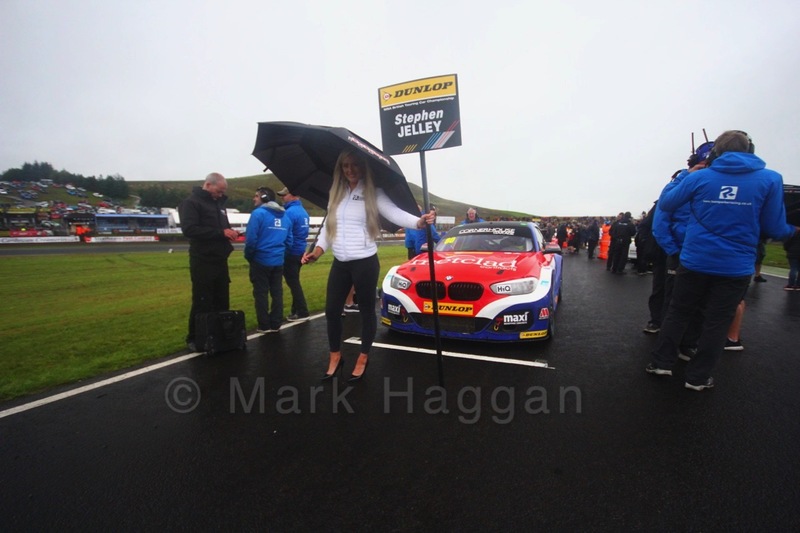 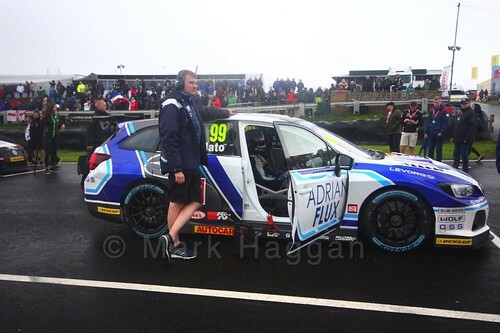 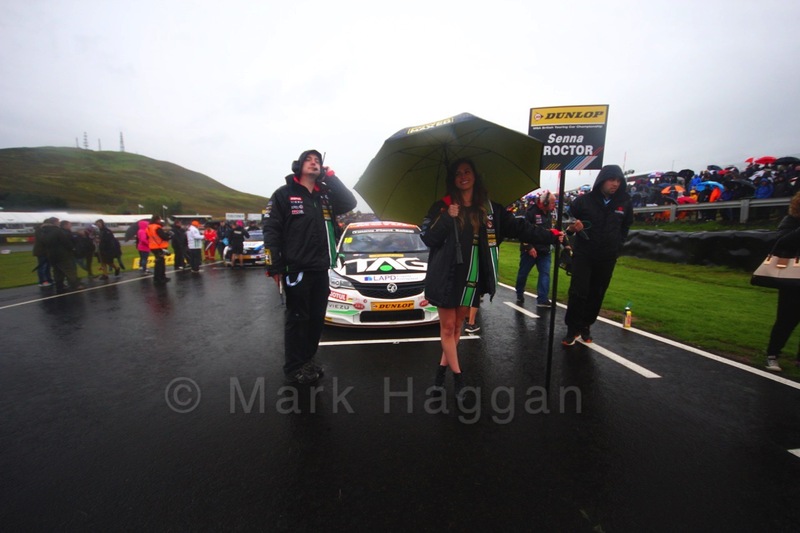 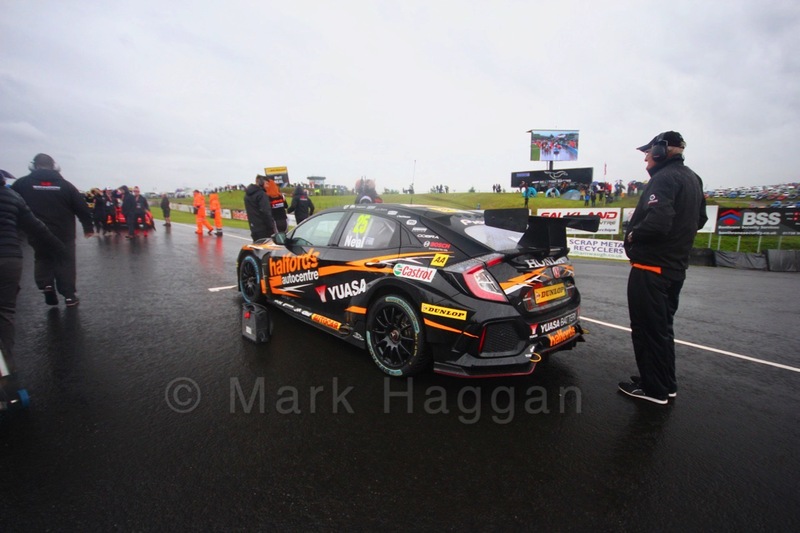 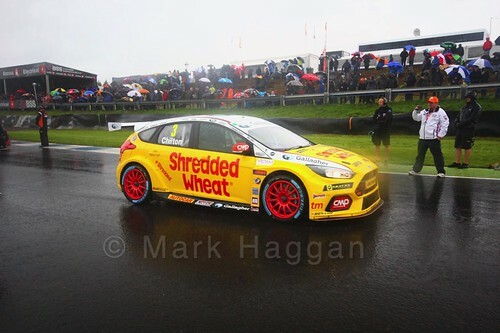 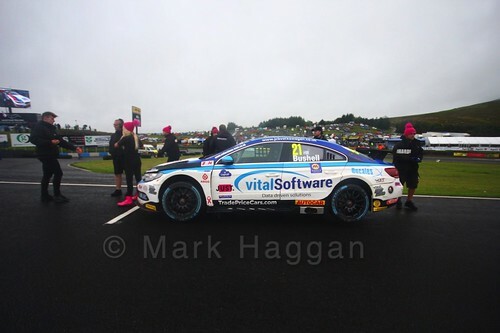 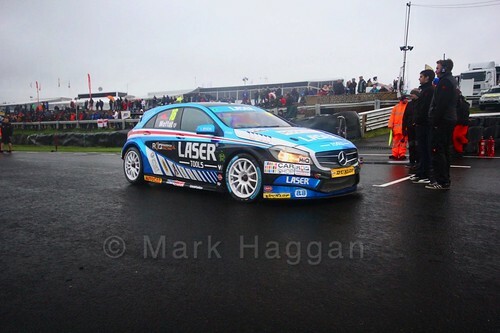 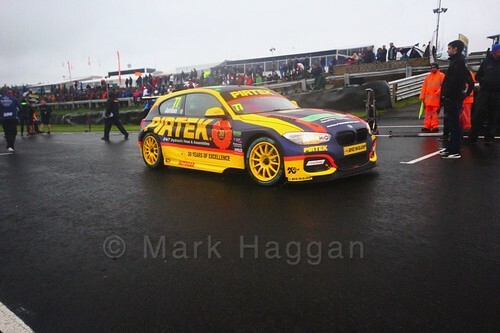 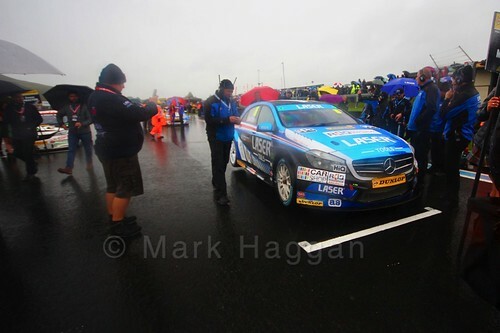 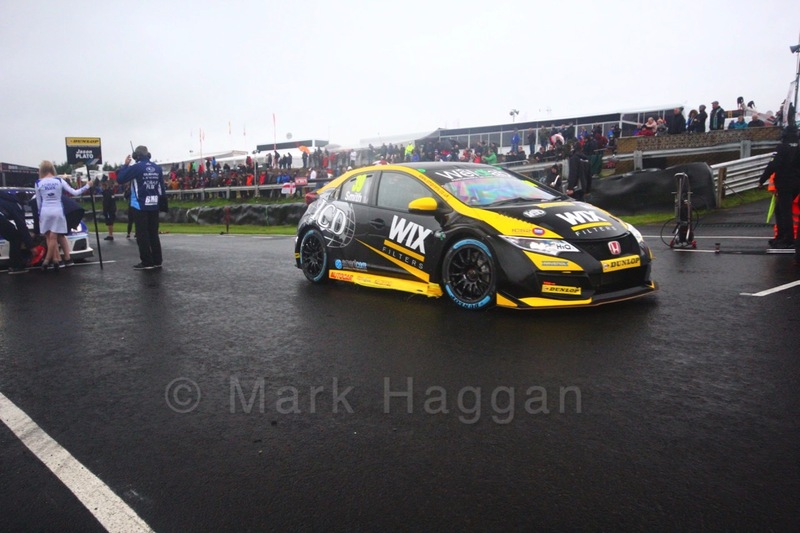 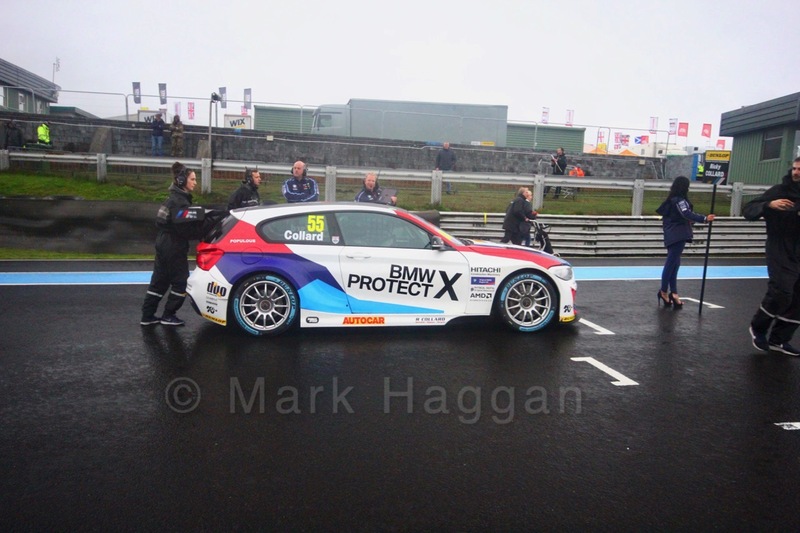 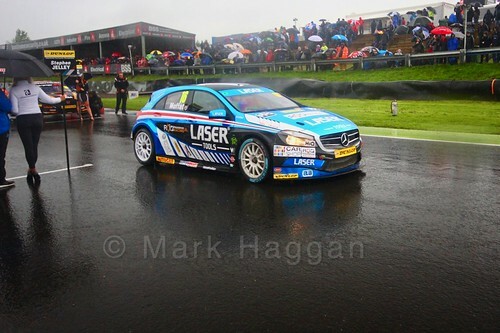 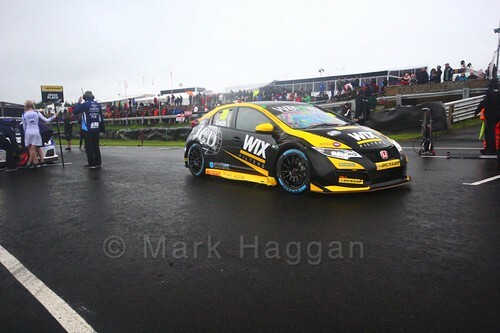 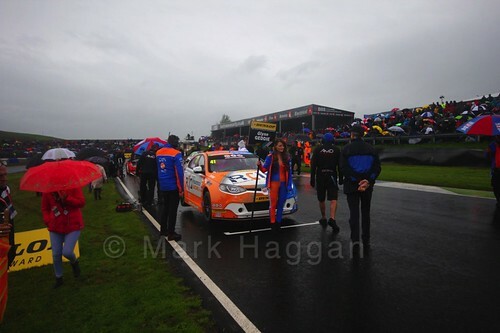 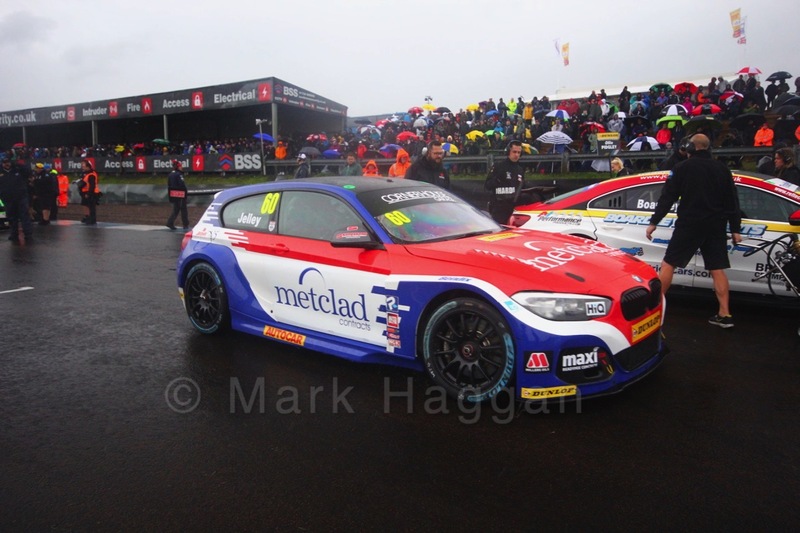 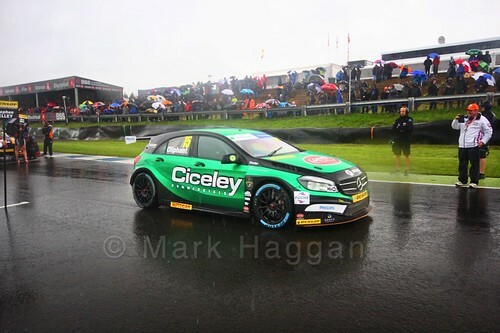 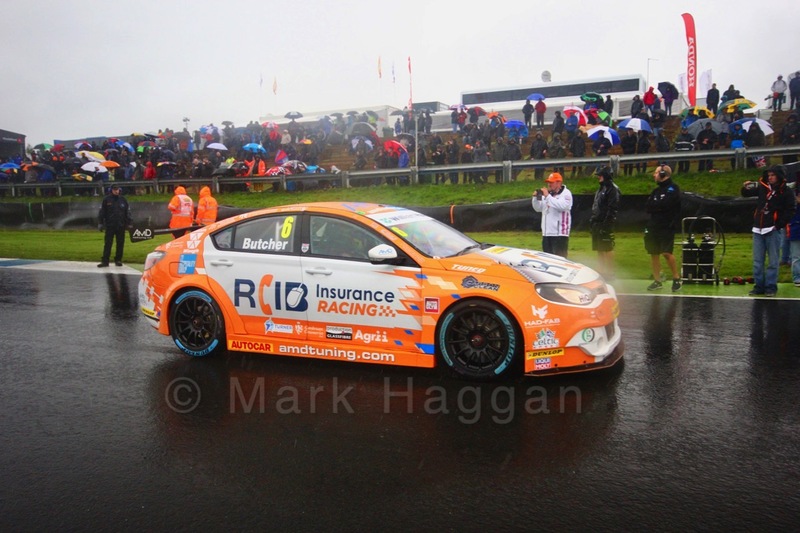 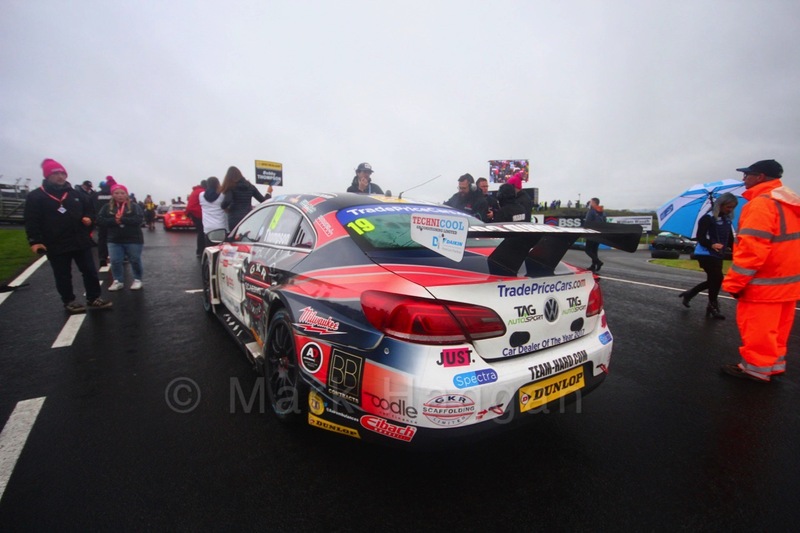 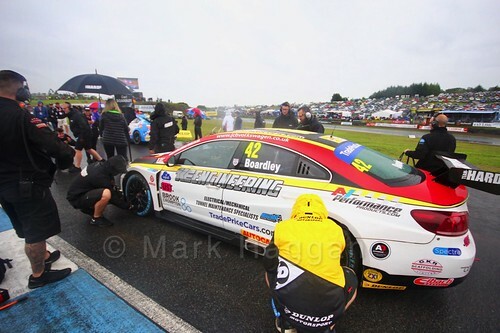 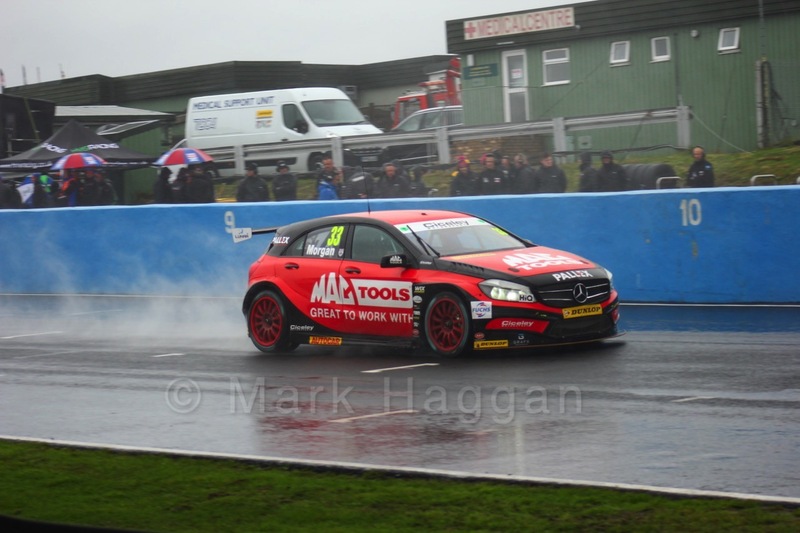 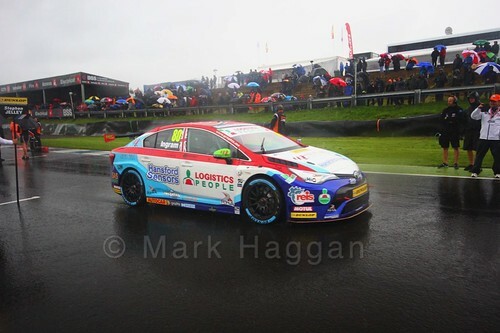 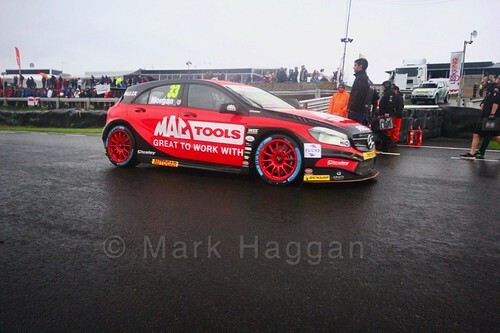 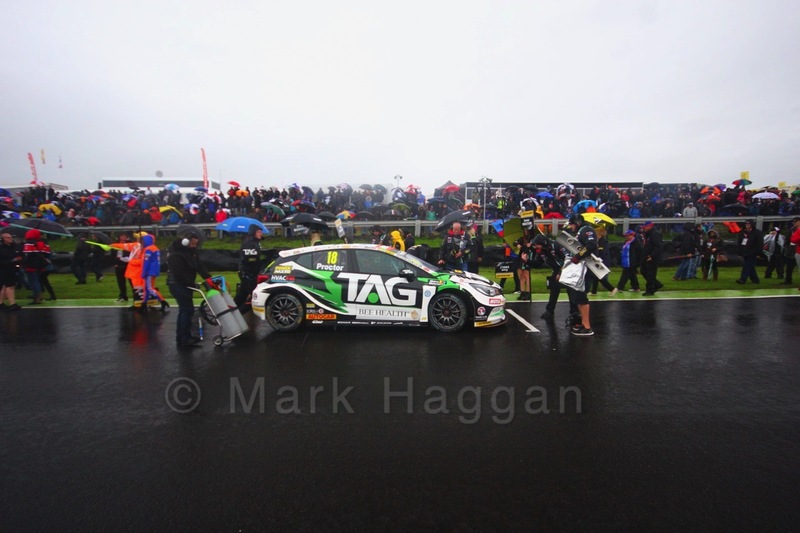 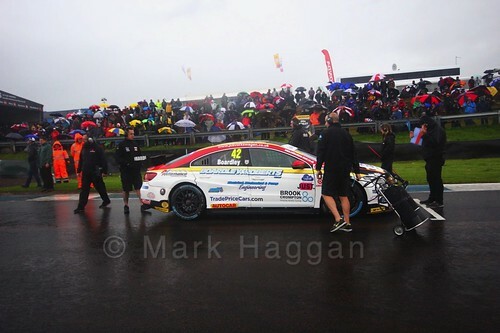 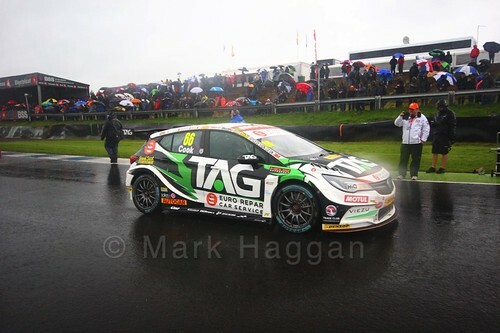 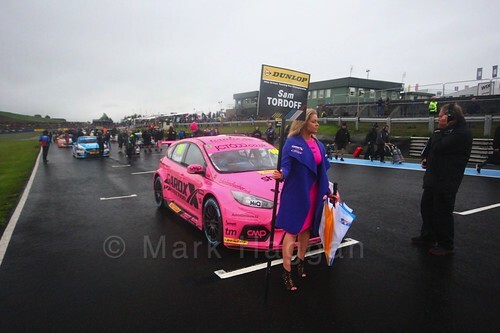 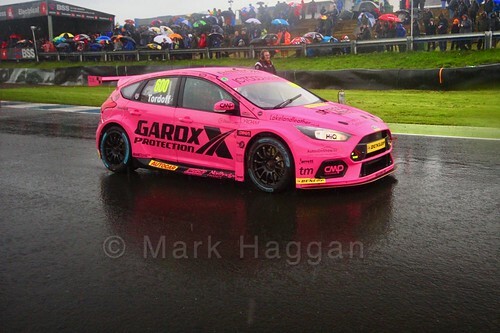 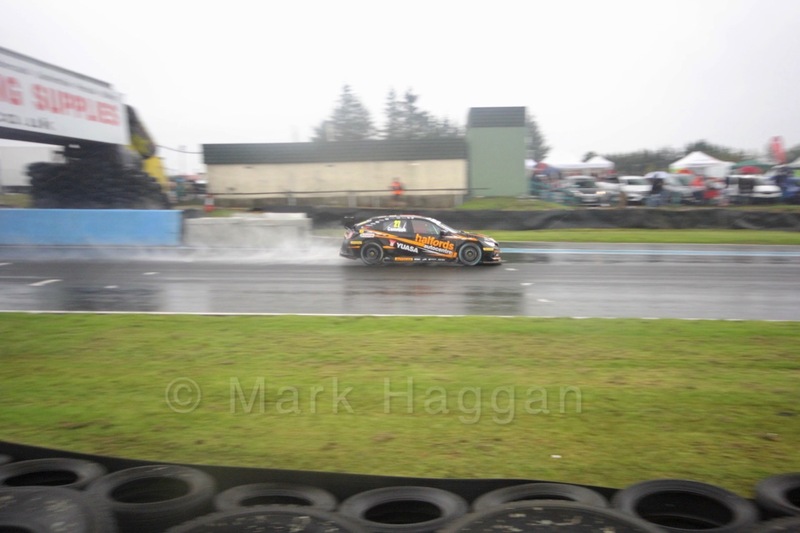 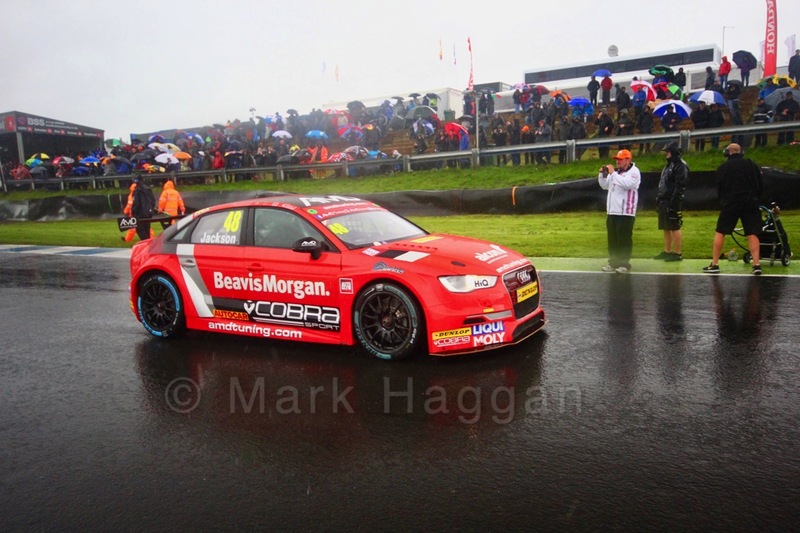 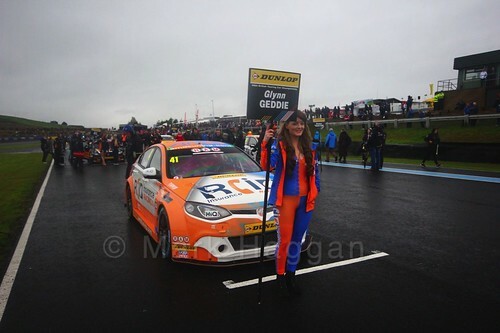 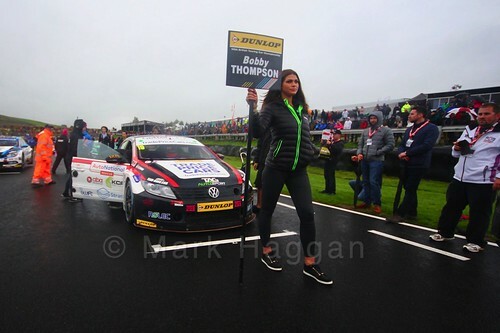 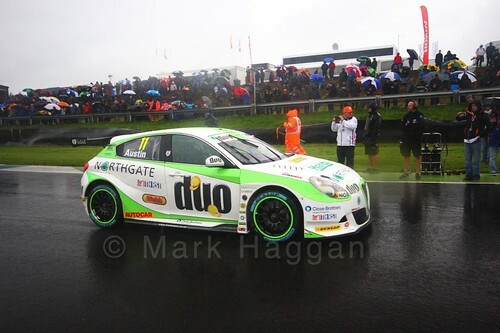 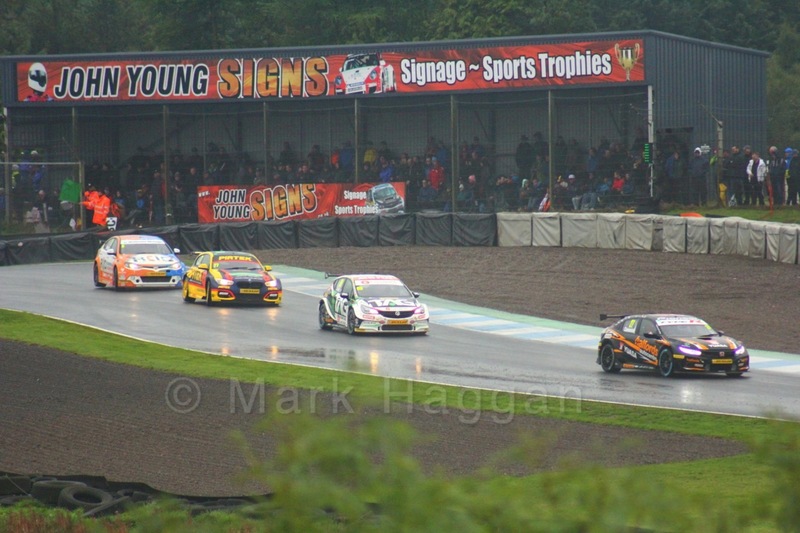 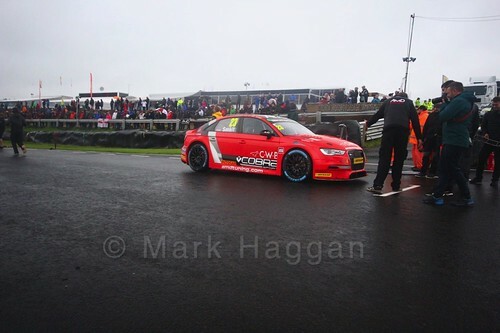 The weekend saw the BTCC Knockhill Rounds 2018 as the British Touring Car Championship made its annual trip to Scotland. 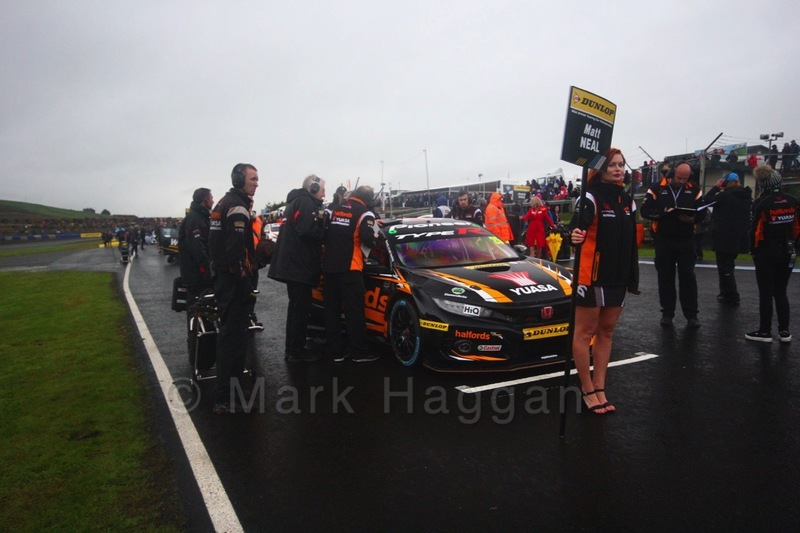 The support series included British F4, the Ginetta Juniors and the Porsche Carrera Cup, as well as the Ginetta GT5 challenge which accompanies the BTCC series to Thruxton and Knockhill. 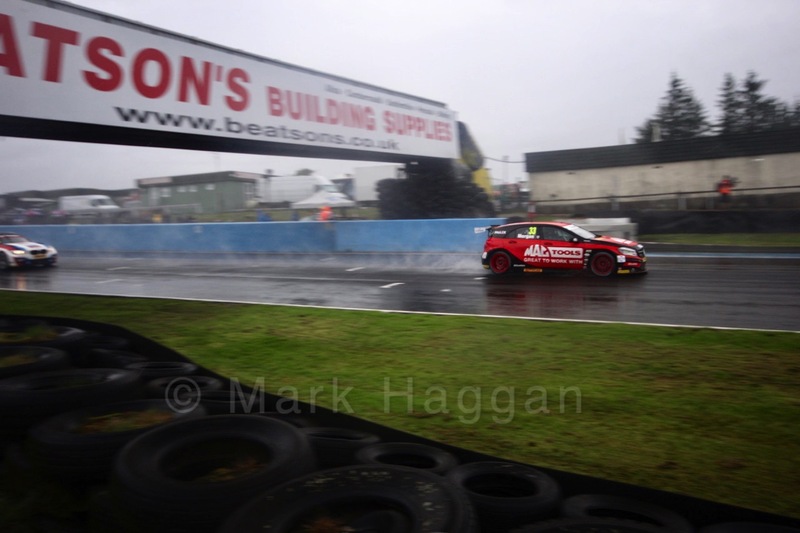 The weather forecast was gloomy but Saturday saw sunny skies, and it was Ash Sutton who topped the times in the first free practice session from Jack Goff and Andrew Jordan. 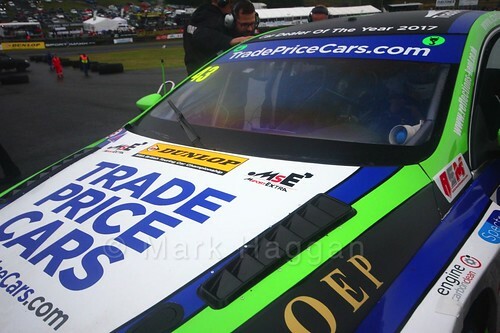 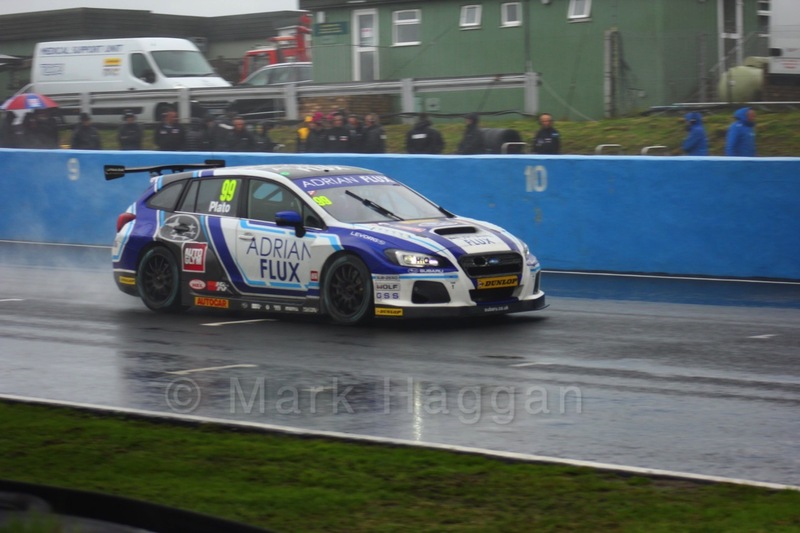 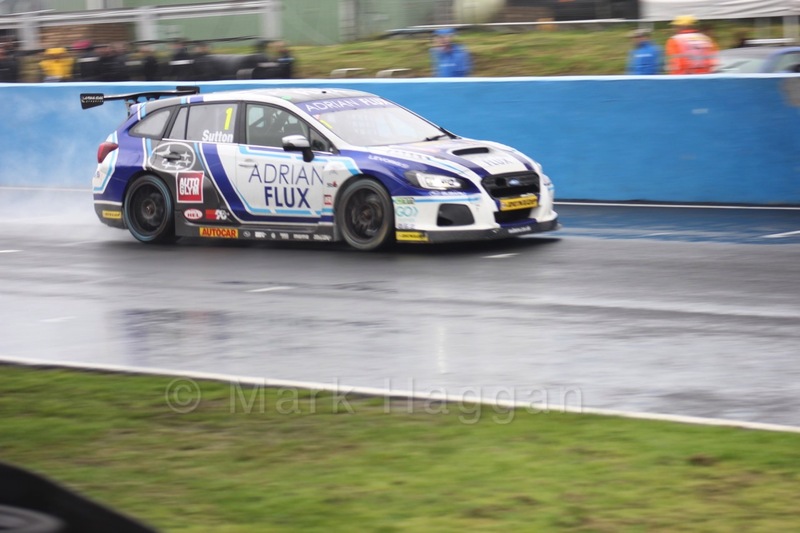 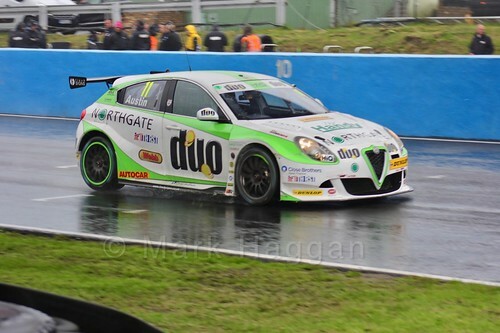 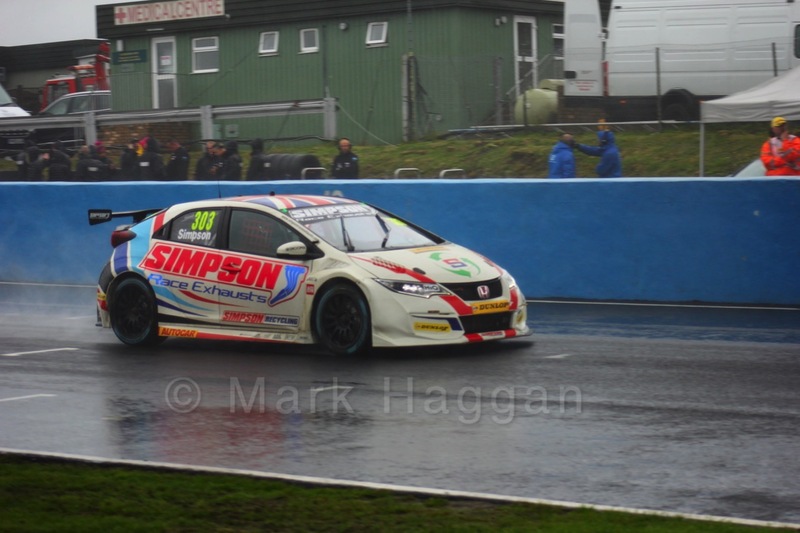 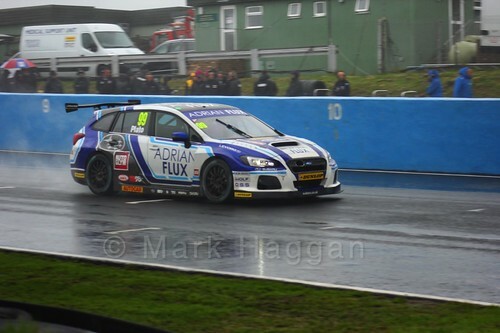 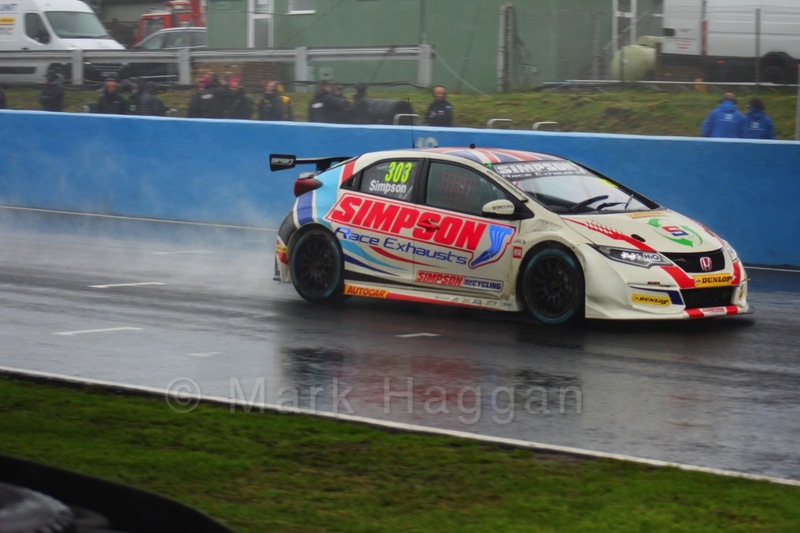 The second practice session saw Jordan top the times from Dan Cammish and and Andrew Morgan. Qualifying saw Cammish take pole with Jordan third, and it was Stephen Jelley who scored a remarkable second place. 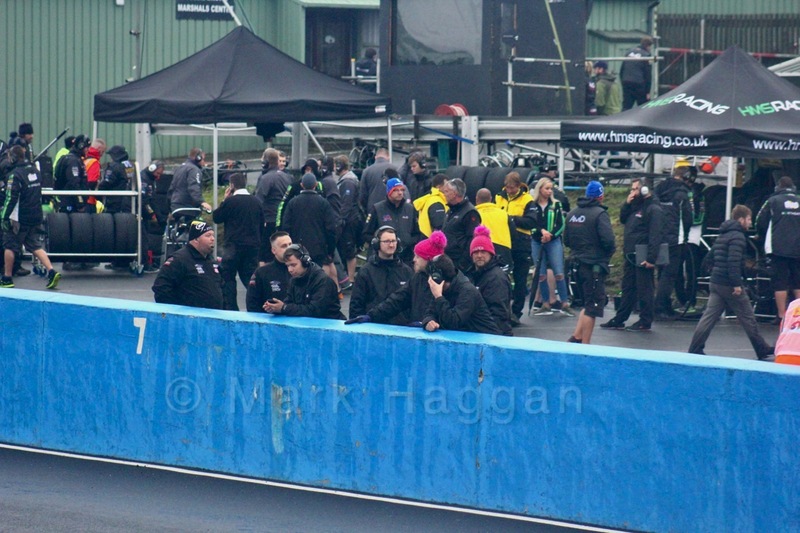 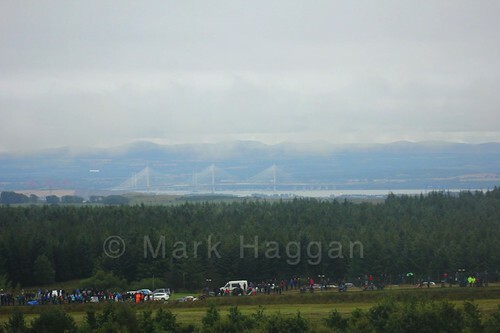 Sunday’s first race was wet, and Cammish got off to a good start with Jelley fighting off cars behind him. 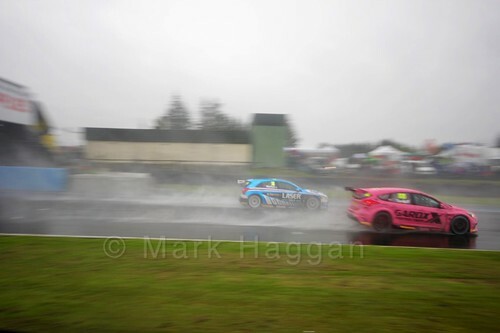 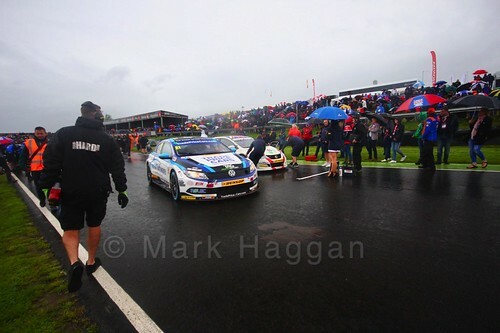 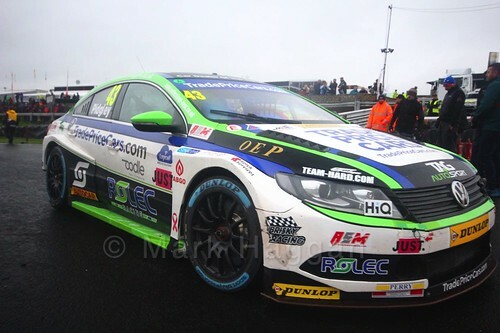 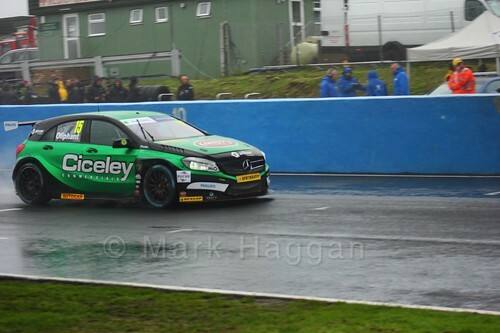 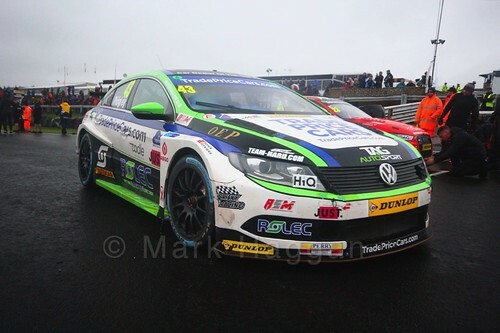 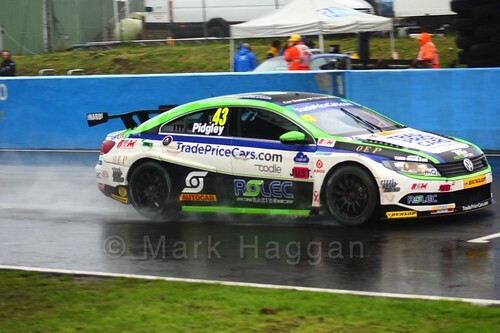 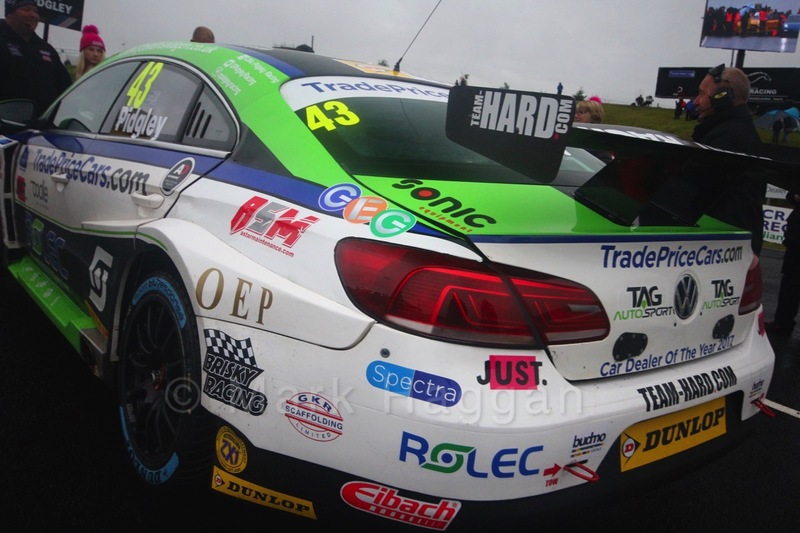 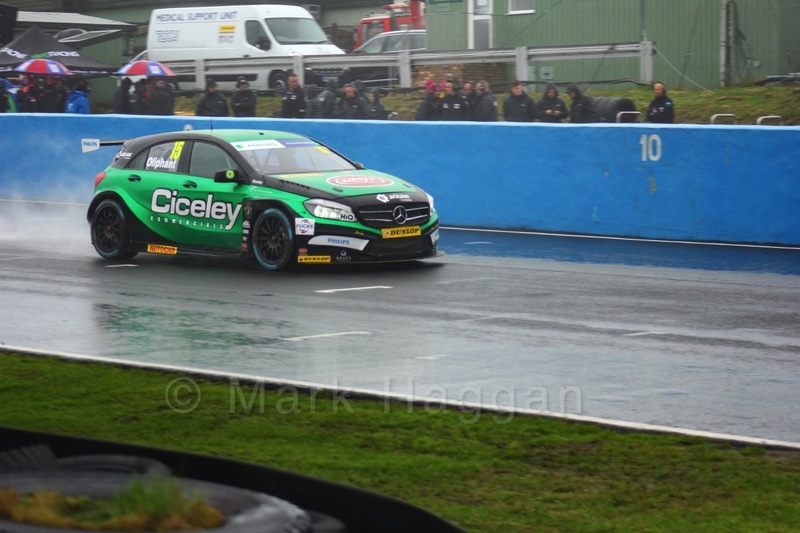 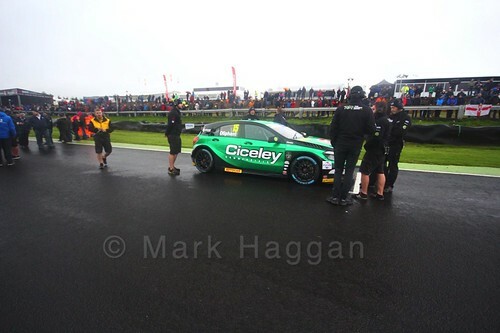 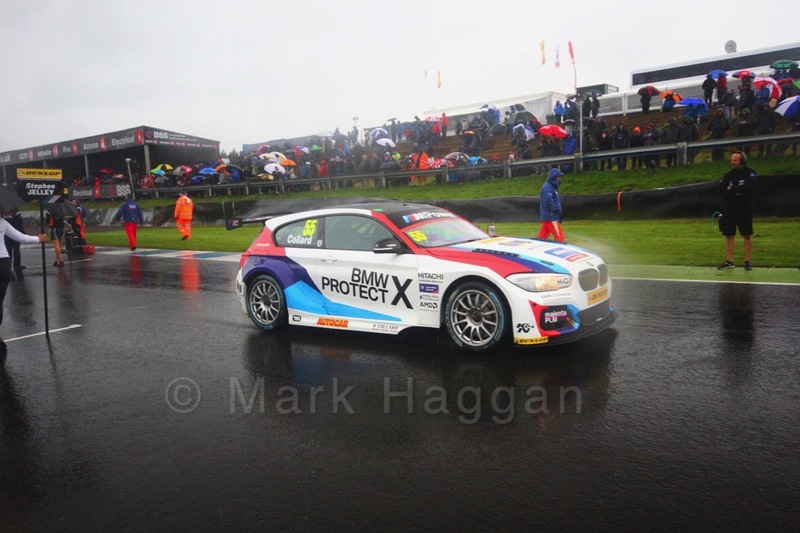 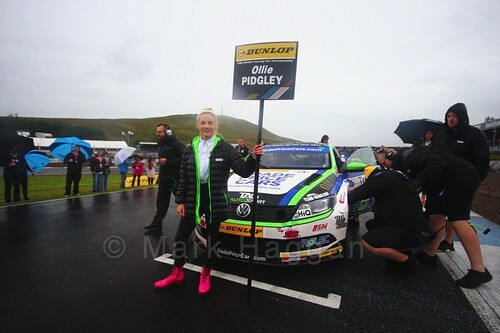 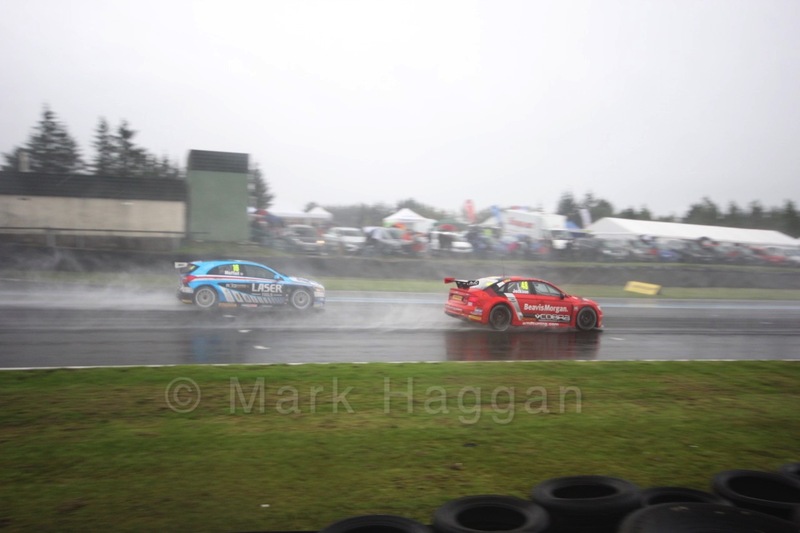 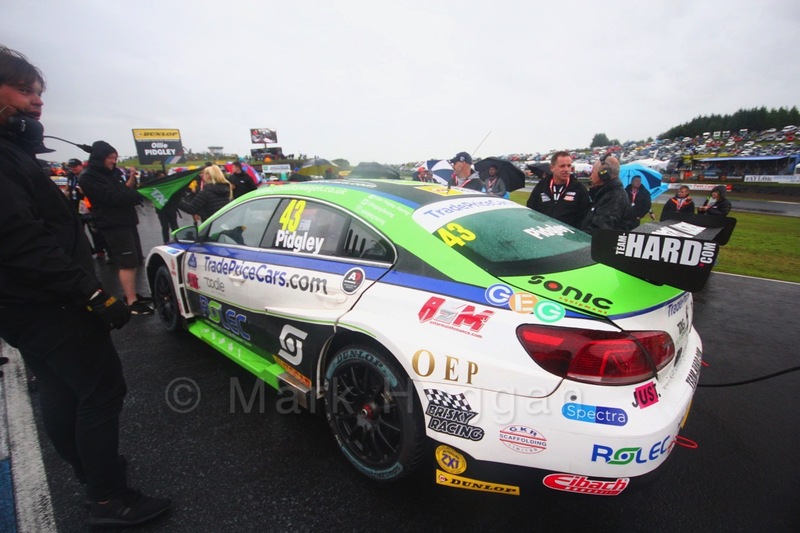 Jelley fought well, but touching cars with Colin Turkington and Jelley ended up in the gravel. 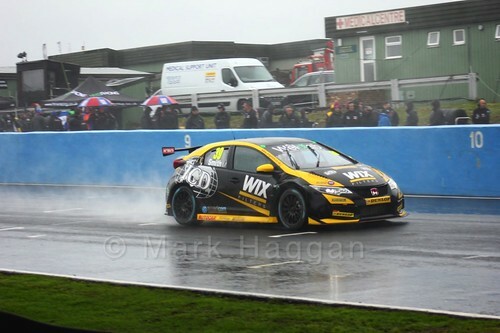 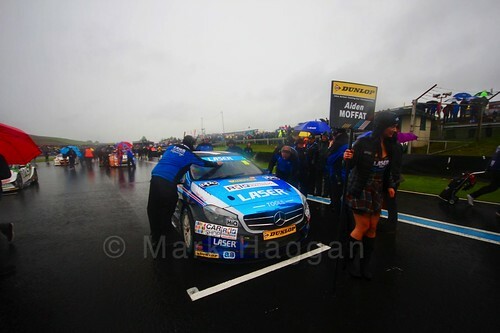 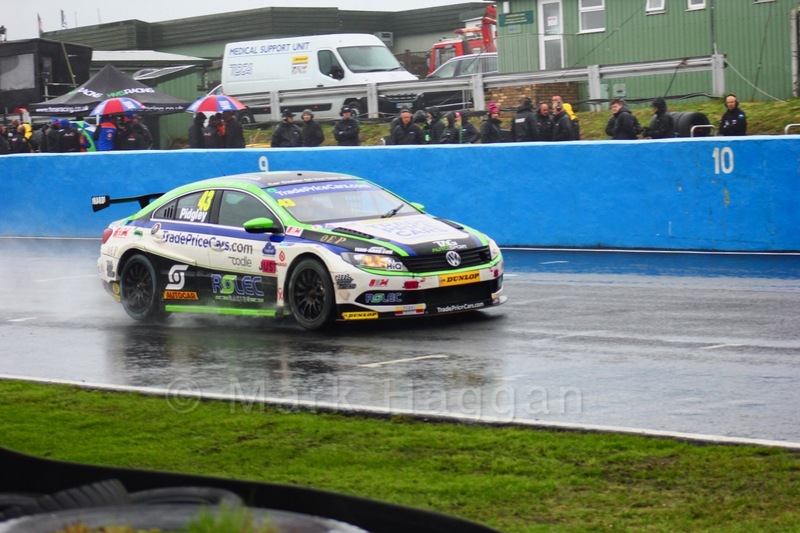 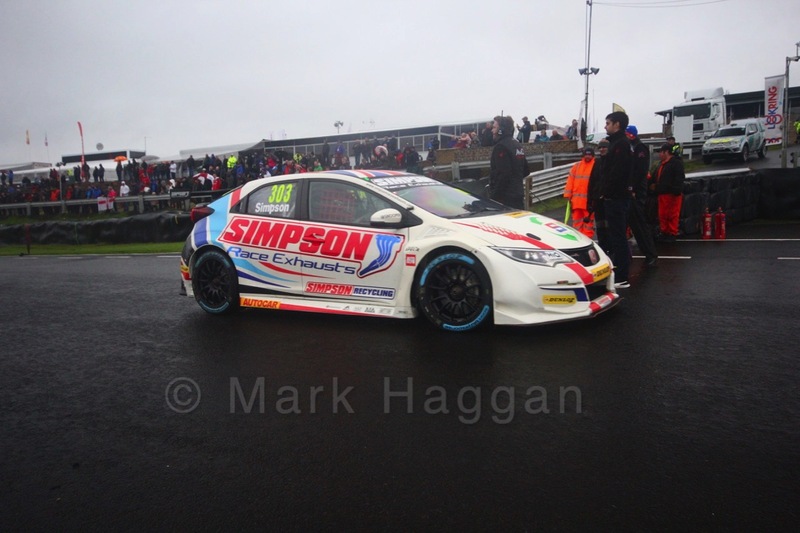 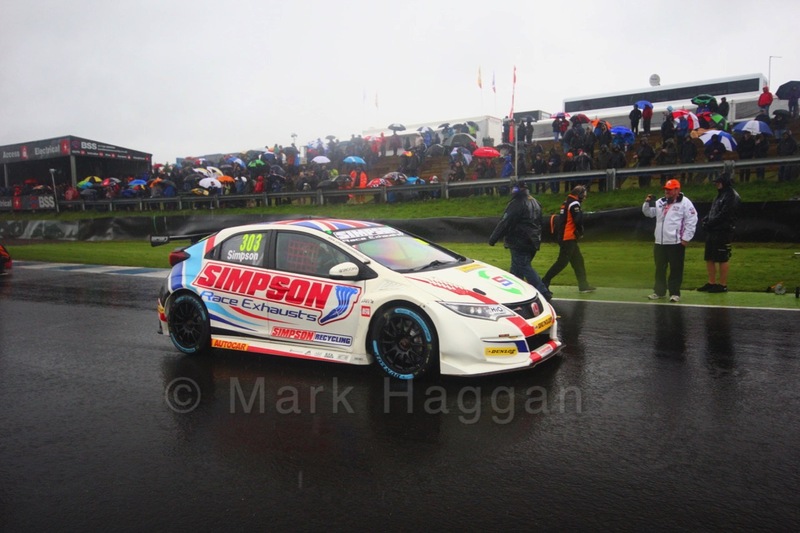 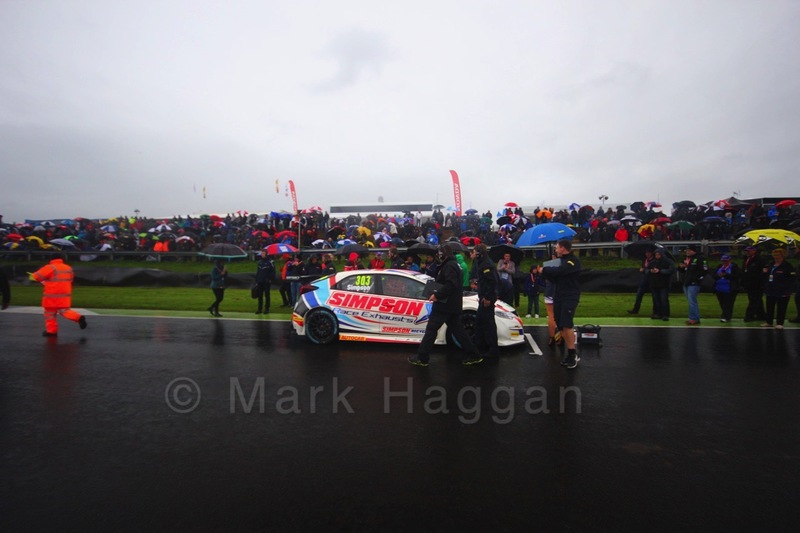 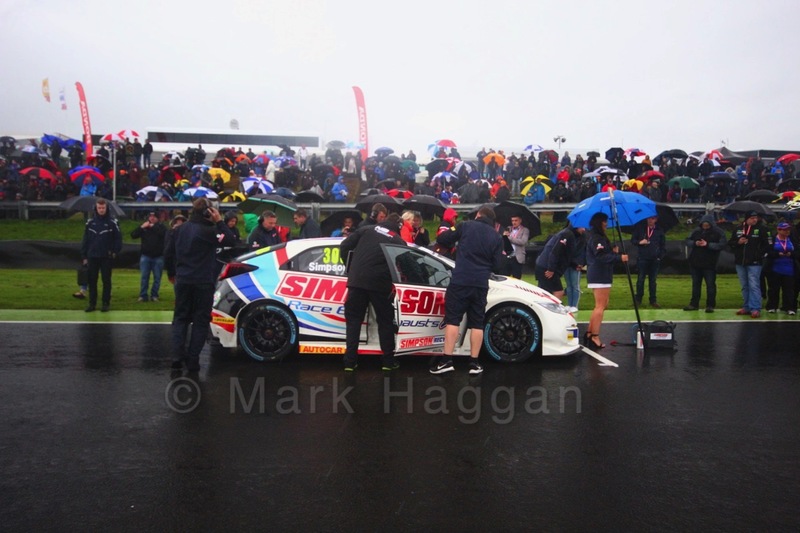 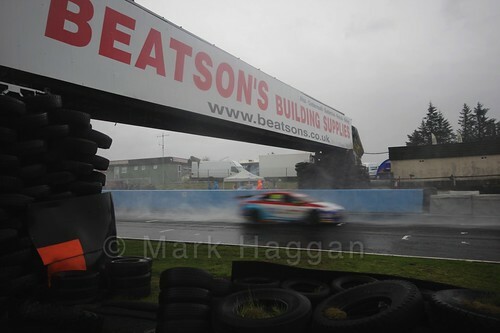 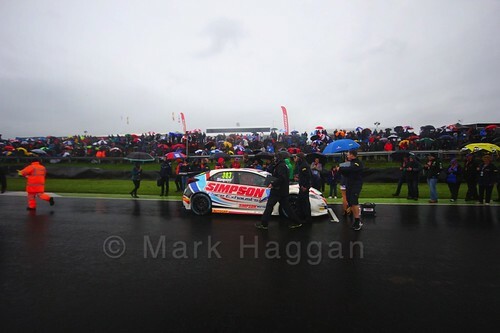 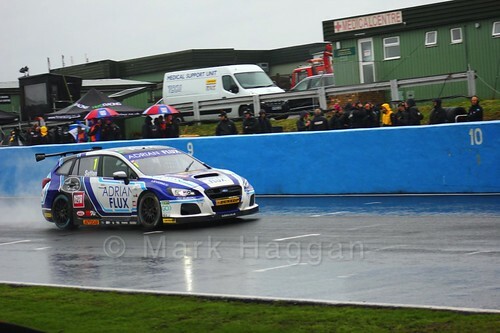 Sutton managed to pass Cammish and took the win, with Turkington and Cammish joining him on the podium. 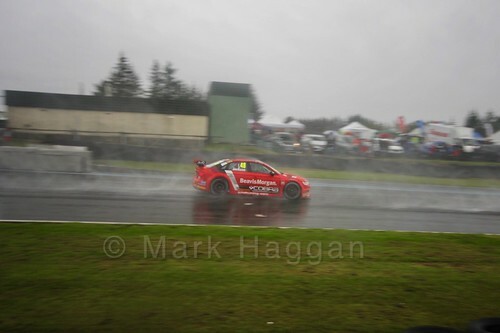 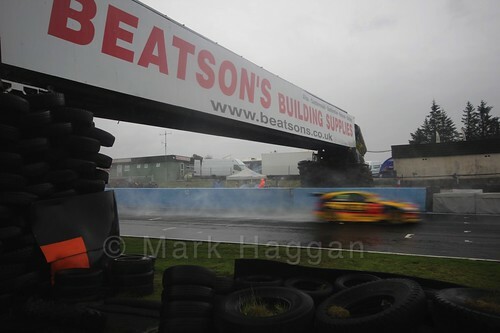 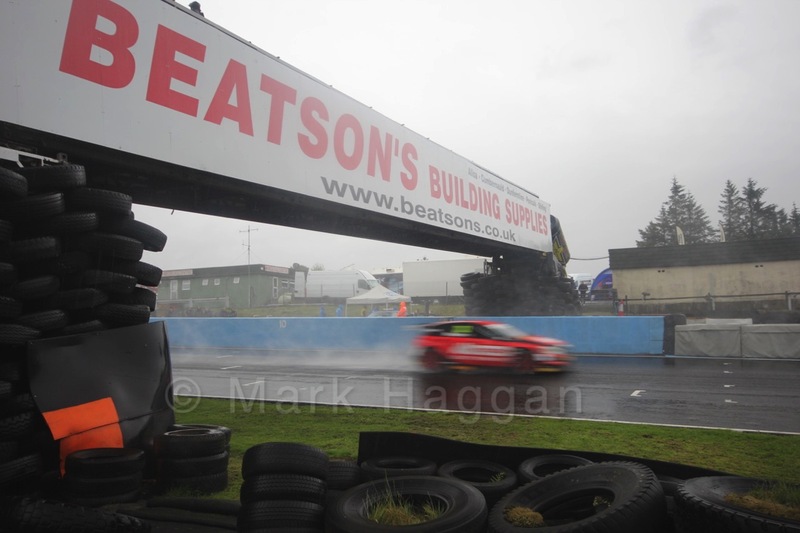 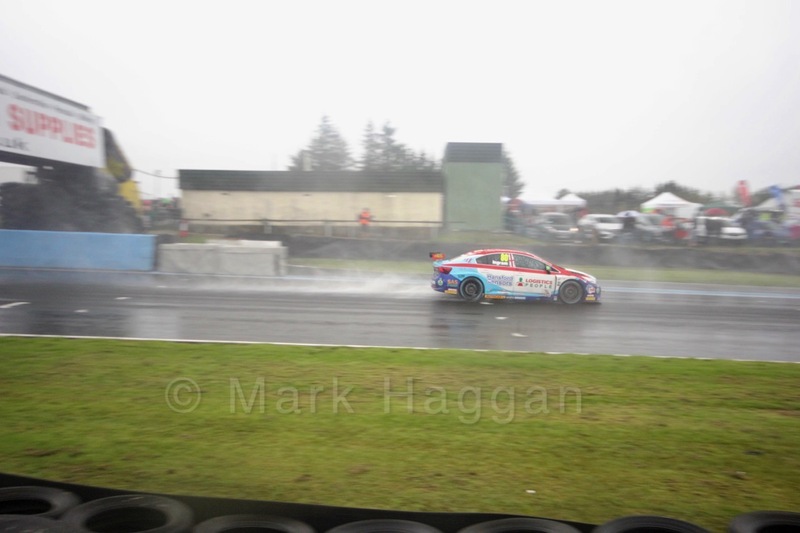 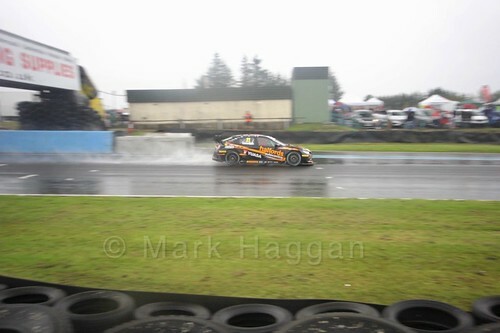 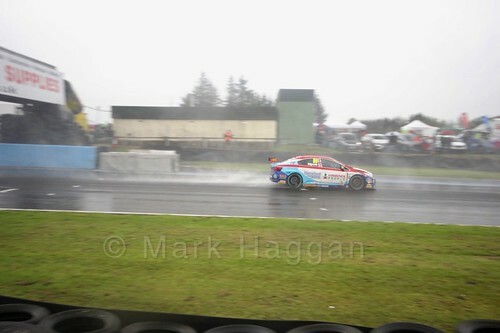 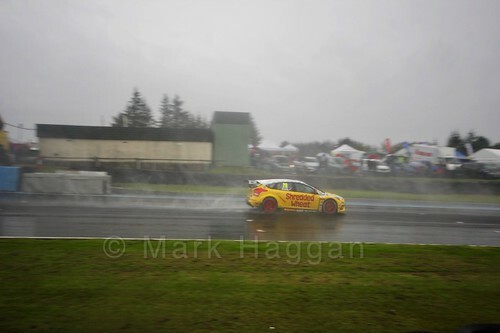 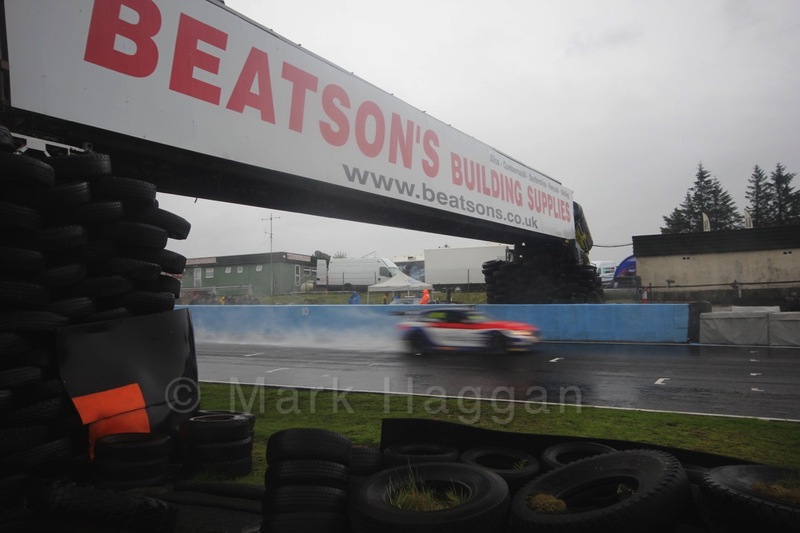 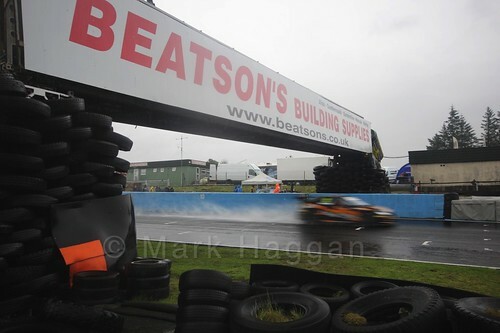 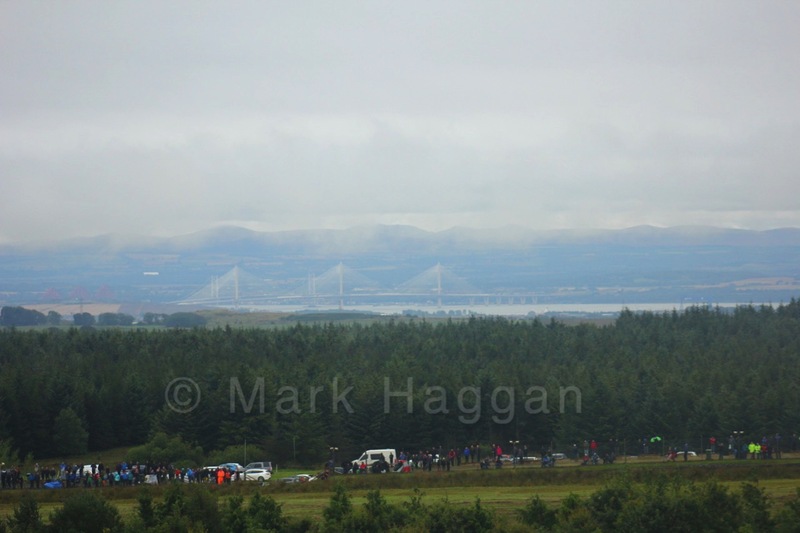 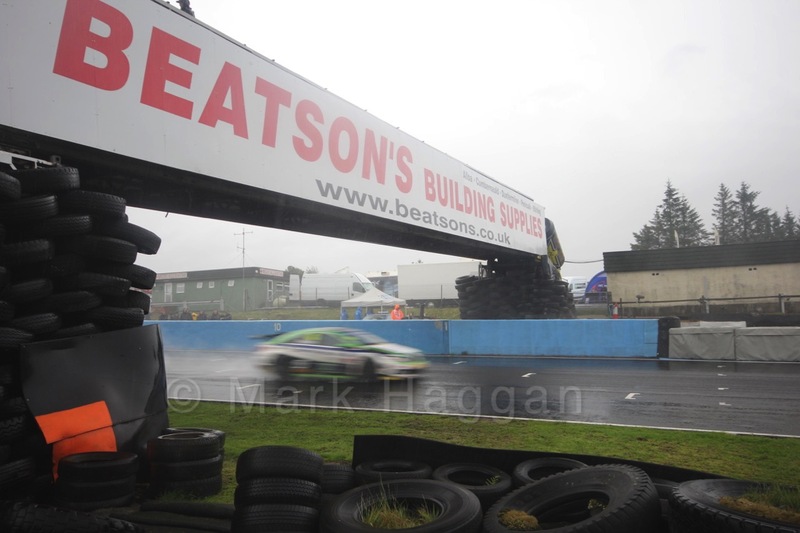 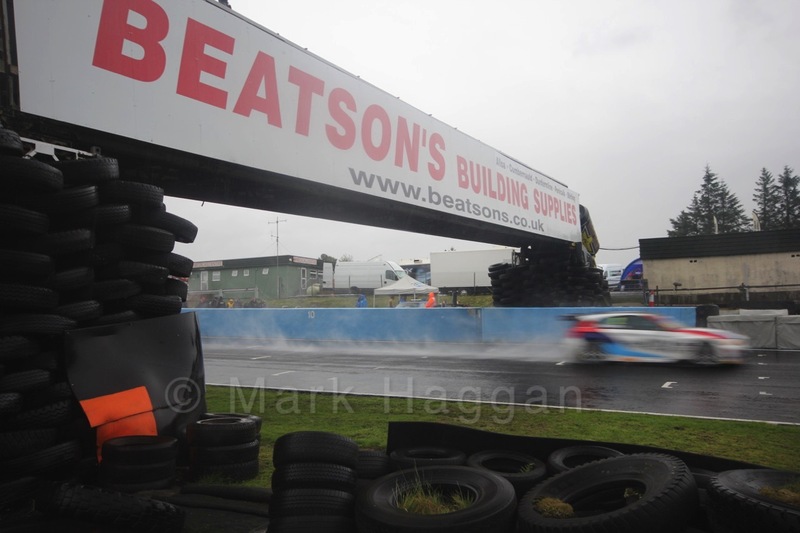 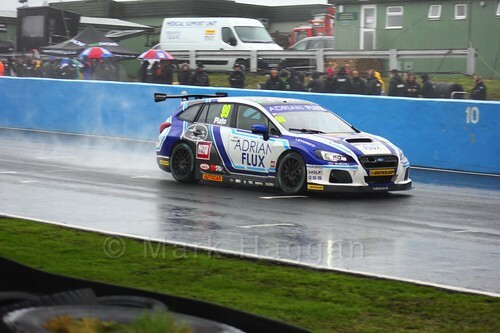 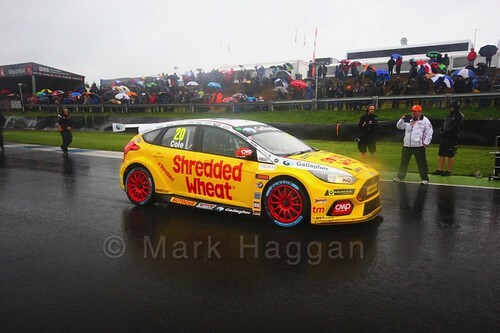 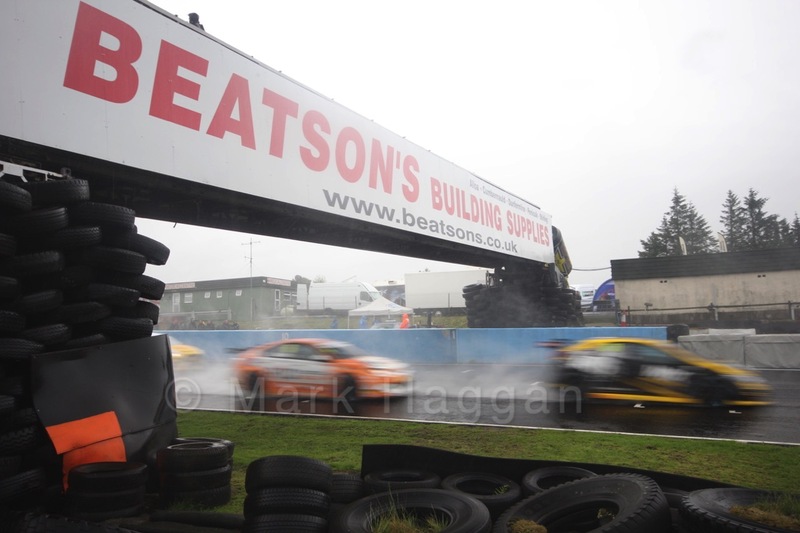 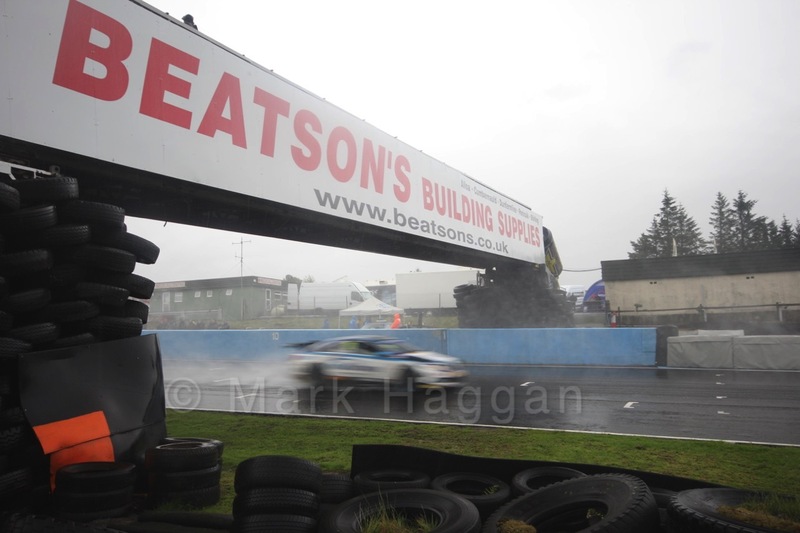 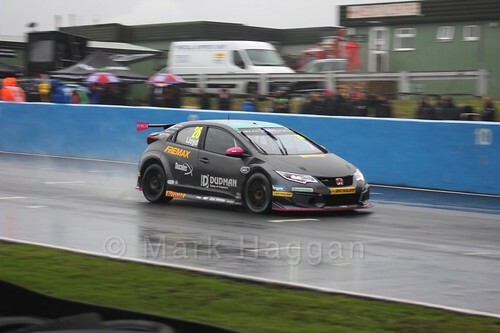 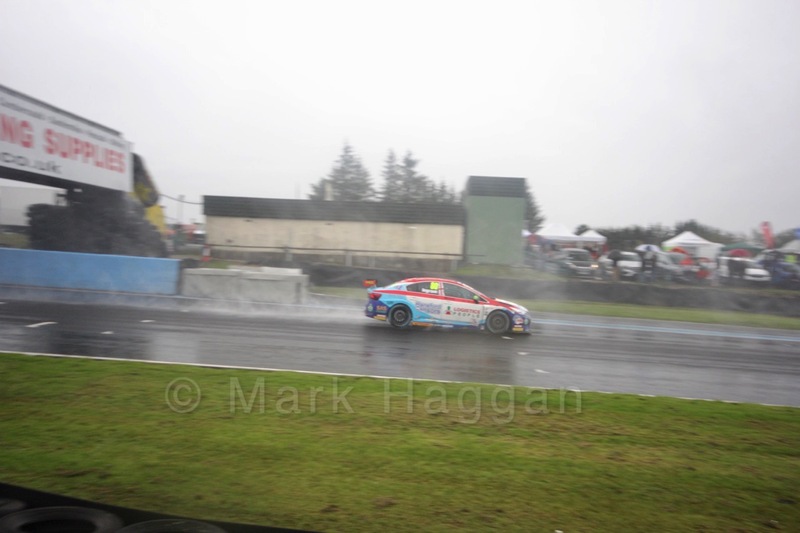 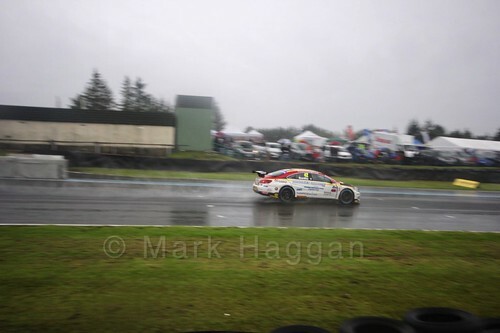 The second race saw plenty of action at the worsening weather took its toll on the cars. 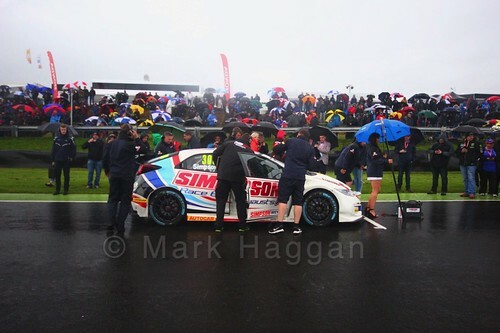 After a number of incidents, the race was eventually red flagged when Sam Smelt his the barrier. 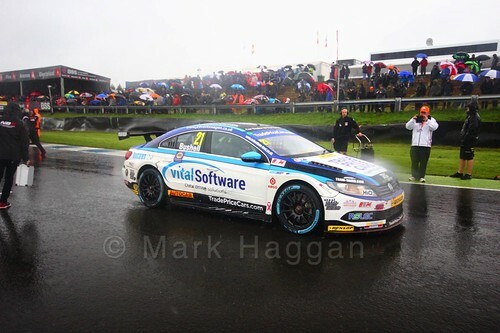 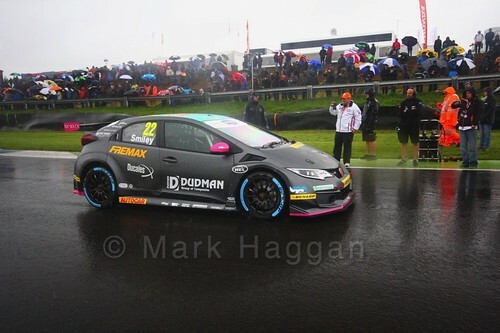 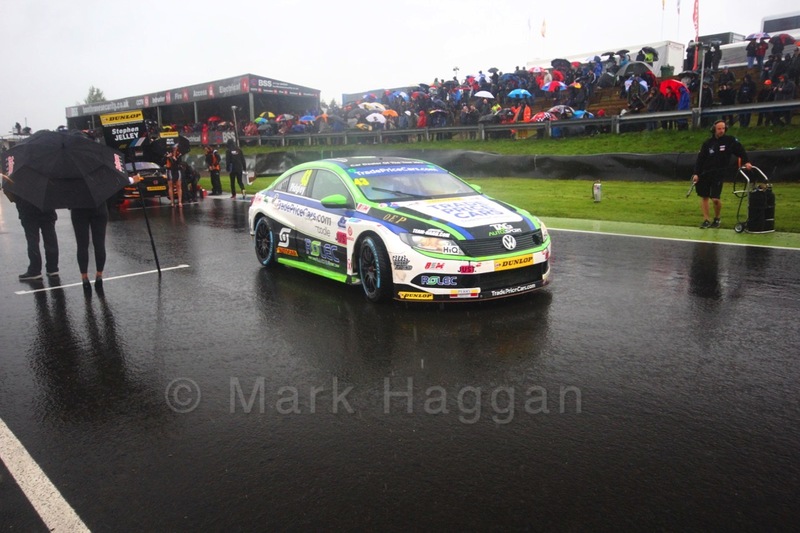 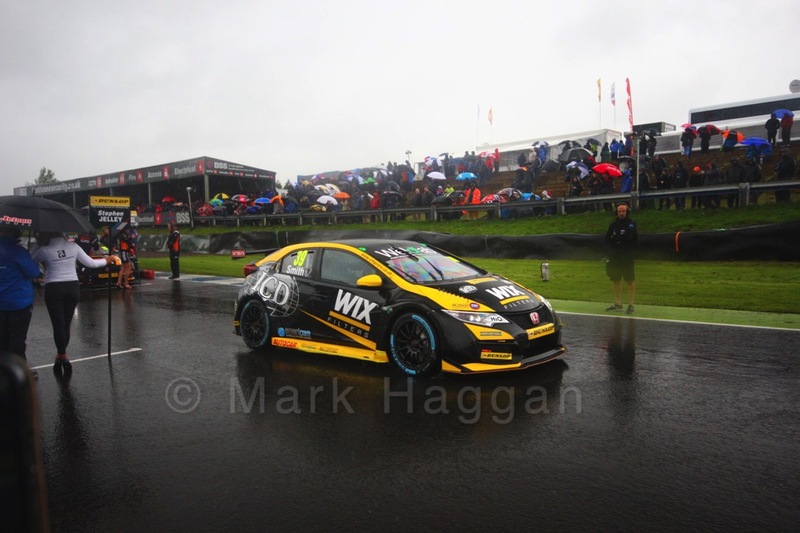 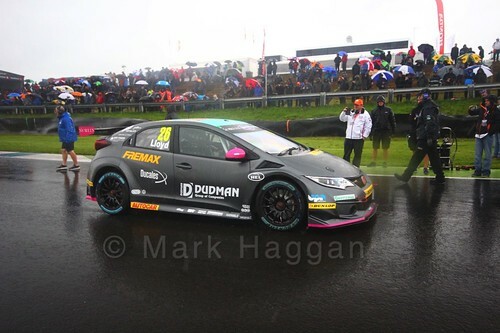 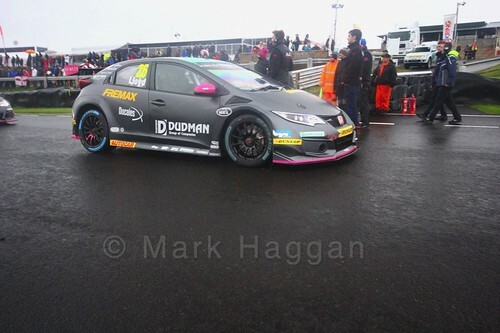 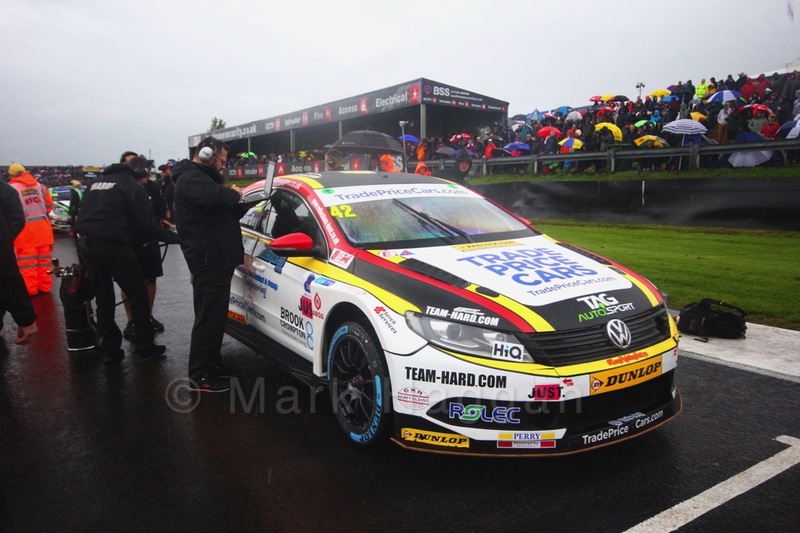 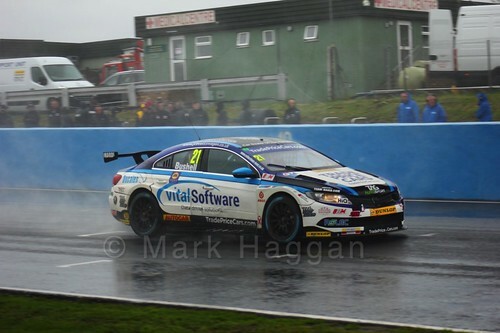 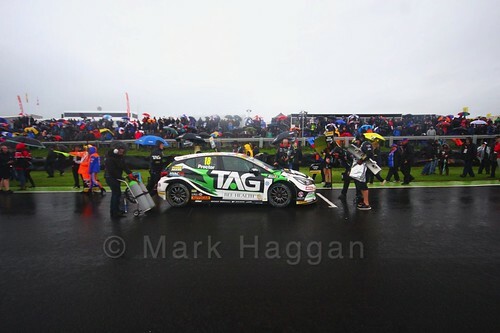 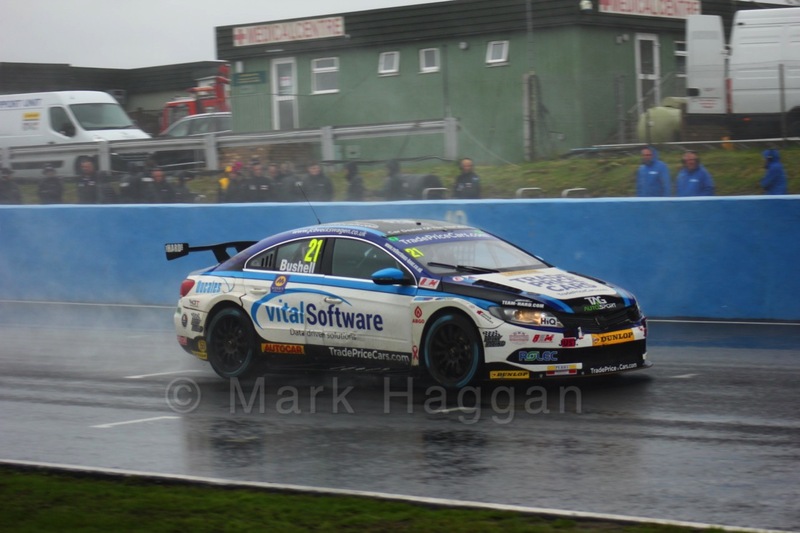 Sutton was leading at the time, ahead of Tom Ingram and Jordan, but the live televised pictures showed that Sutton’s car appeared to fail the ride height check. 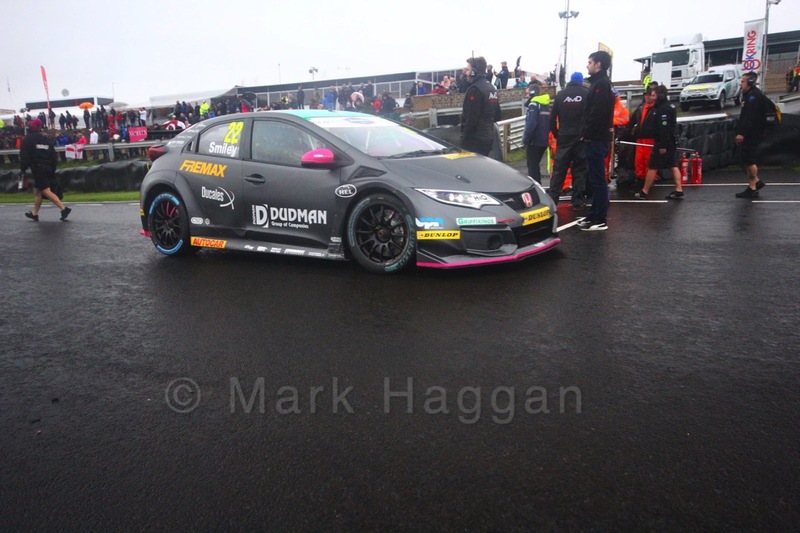 It was soon confirmed that not only had Sutton been excluded, but so had Ingram, giving the win to Jordan, with Josh Cook and Cammish promoted to the podium. 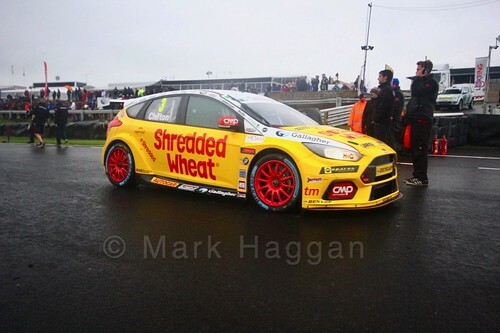 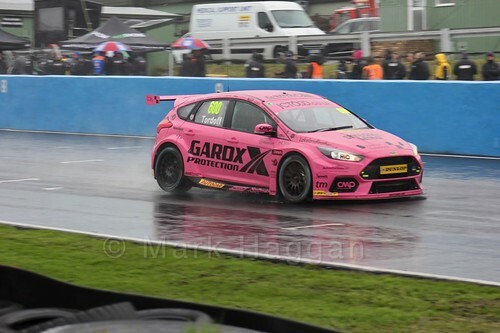 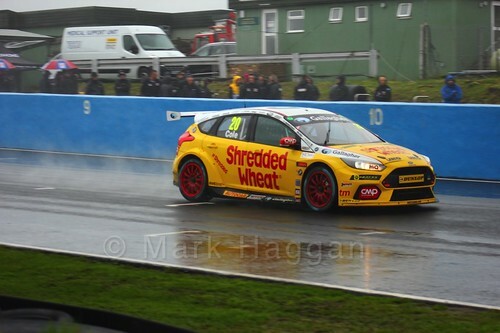 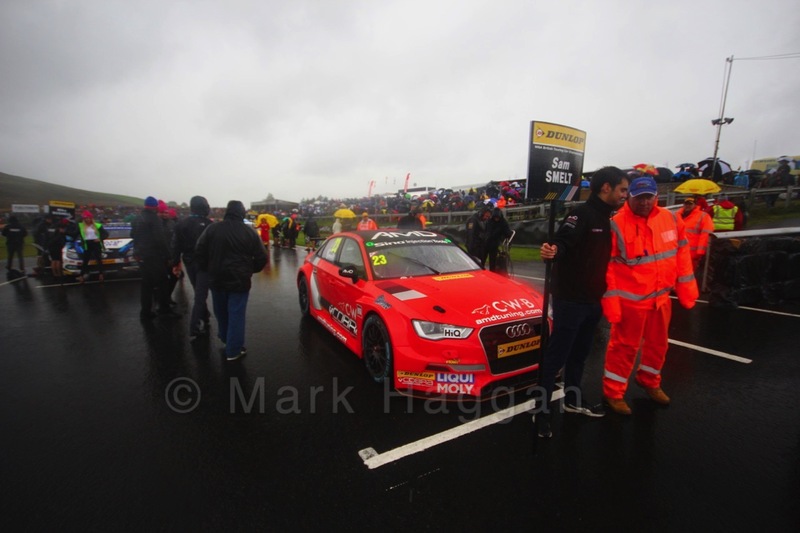 Tom Chilton started the final race of the weekend on pole, and became the fourteenth winner of the season, ahead of Turkington and Jordan. 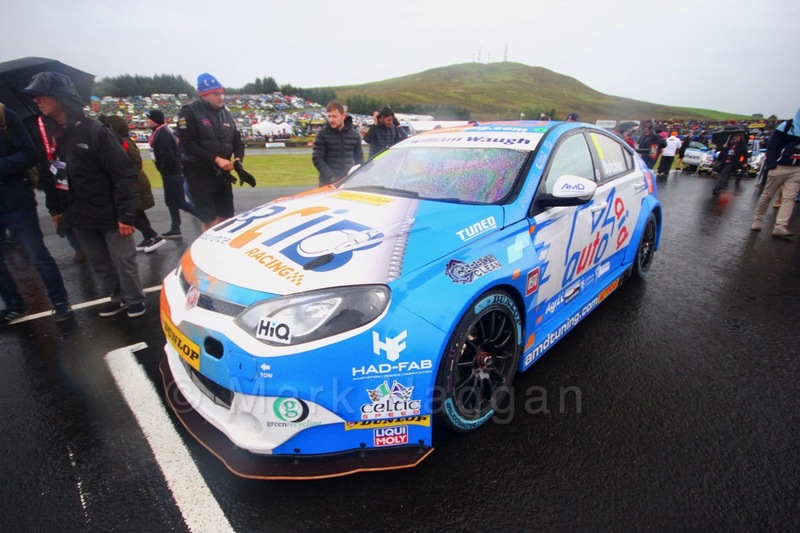 The weekend’s result leaves Turkington at the top of the table ahead of Ingram and Sutton, with two race weekends left in the season. The teams head to Silverstone in three weeks, meanwhile, here are some photos and videos from the weekend.